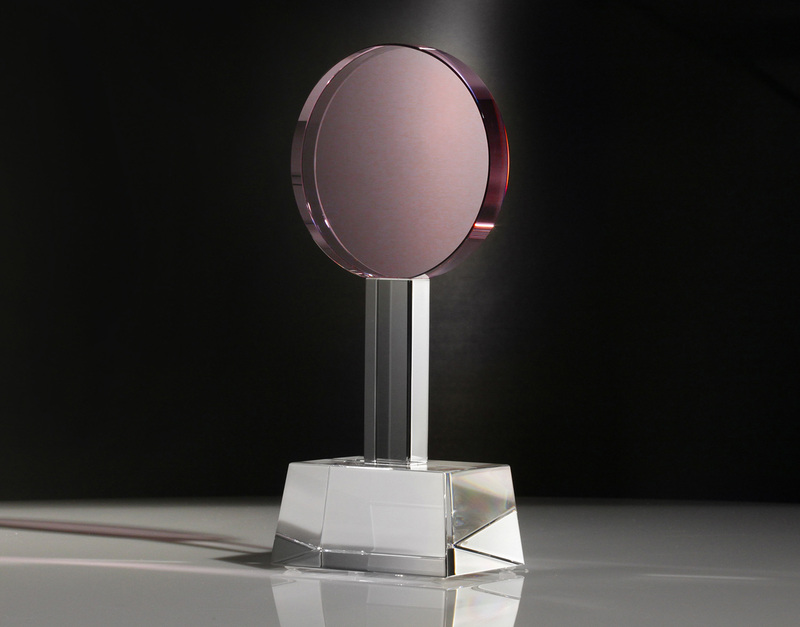 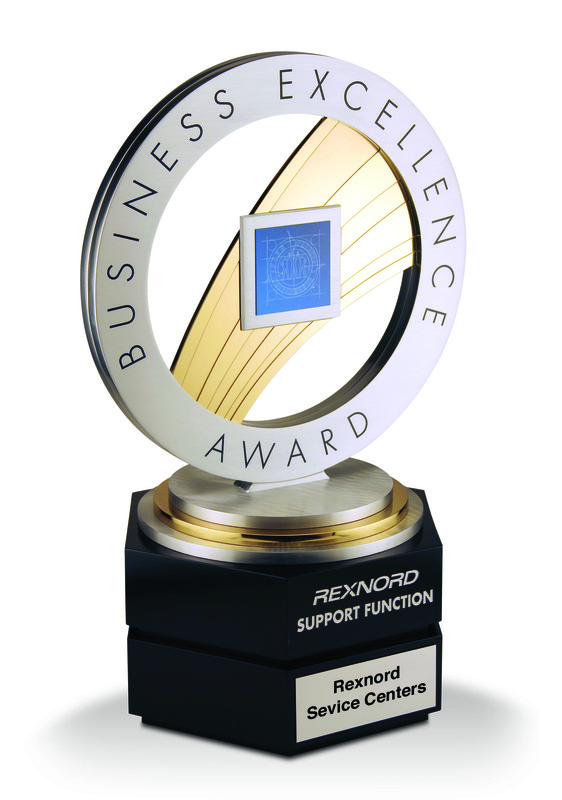 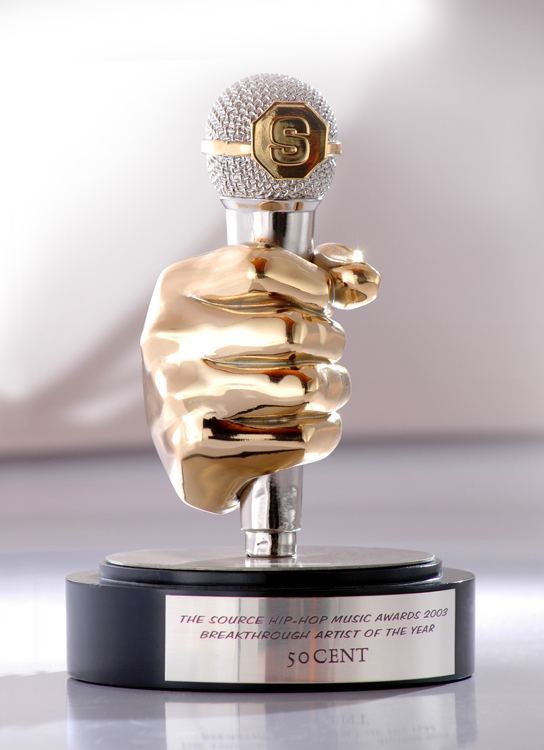 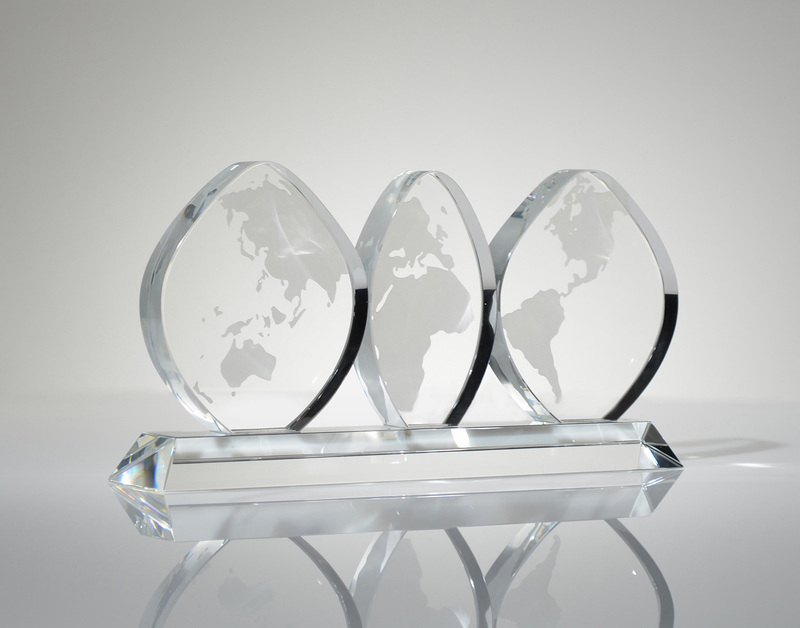 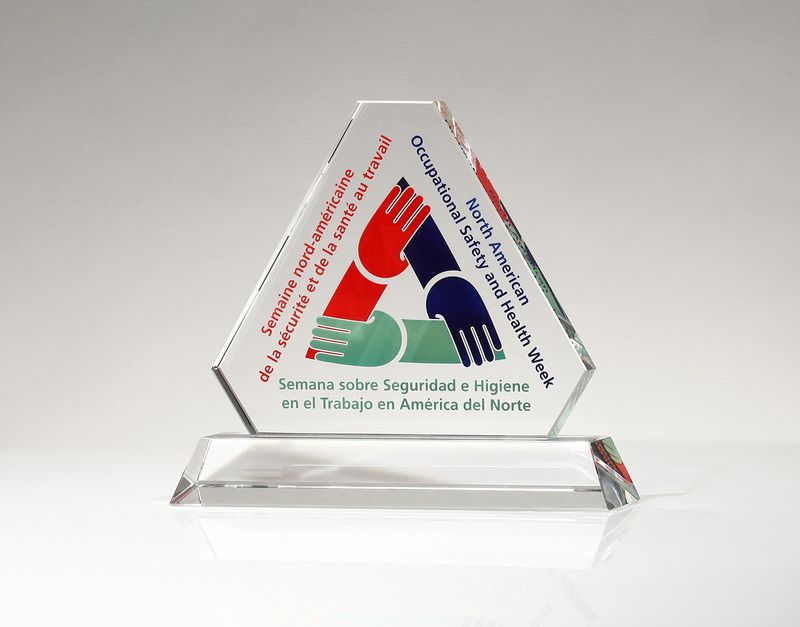 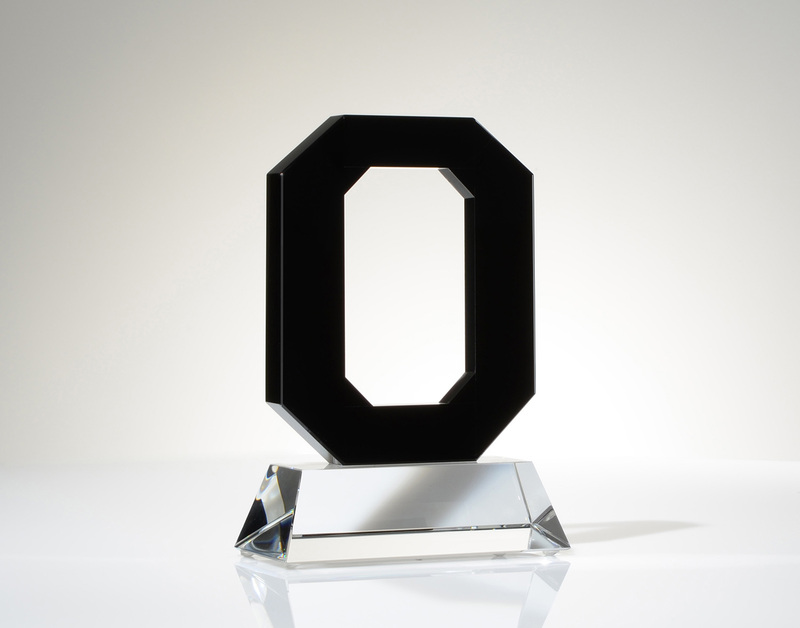 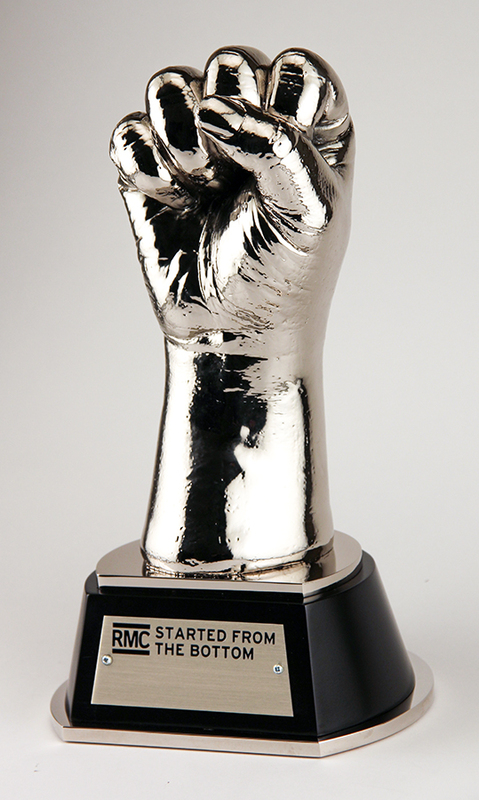 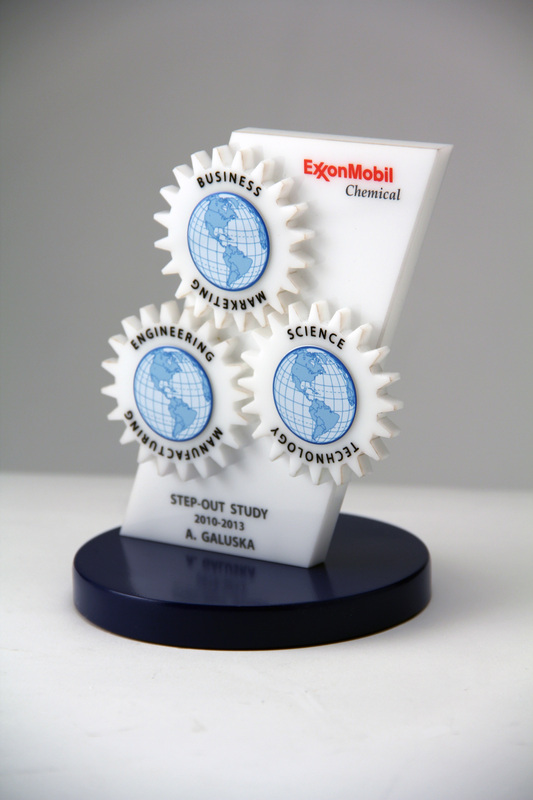 Our manufacturing team at Successories specialize in creating custom award solutions within any budget. 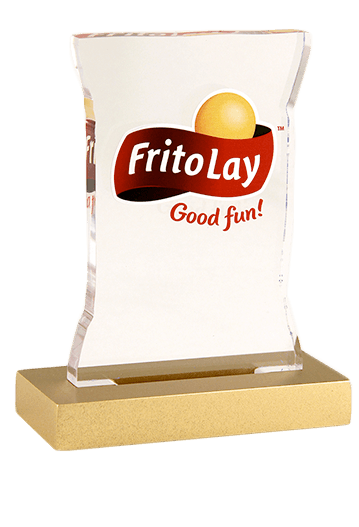 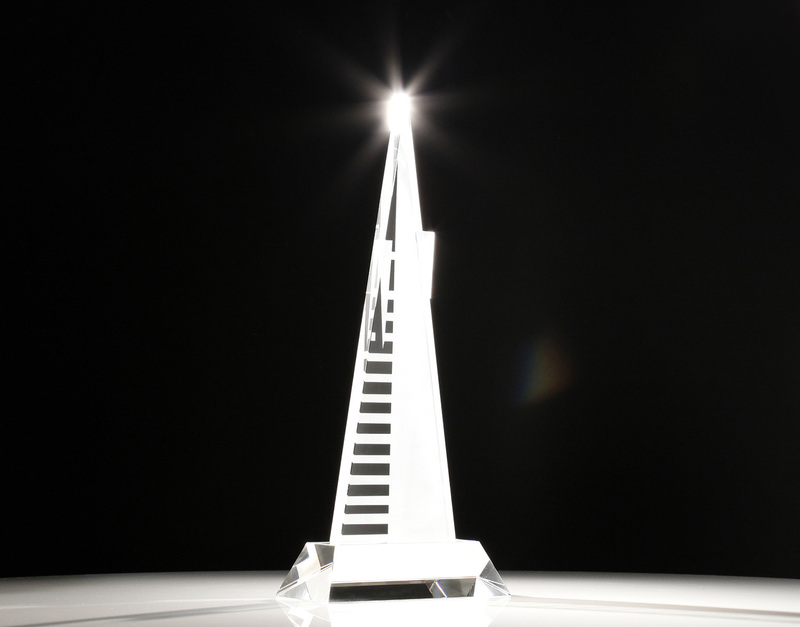 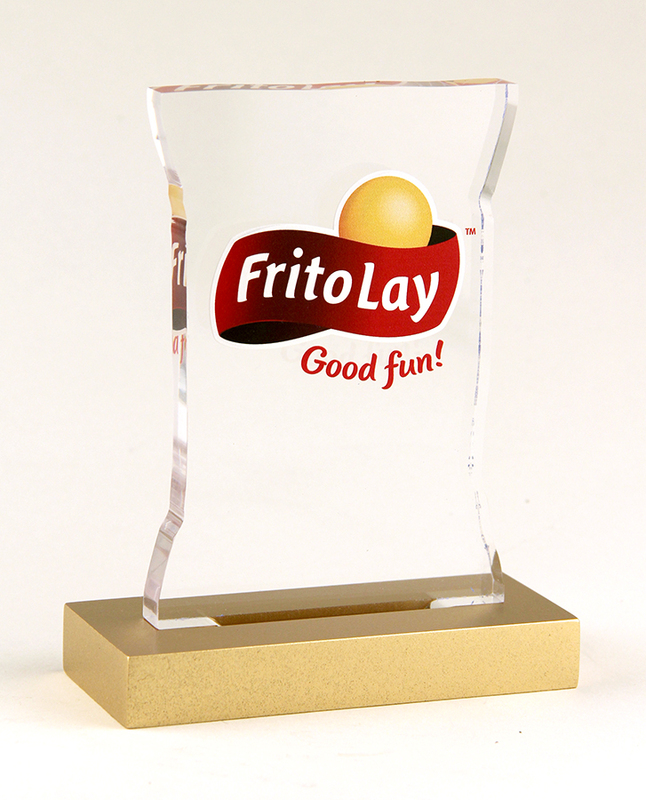 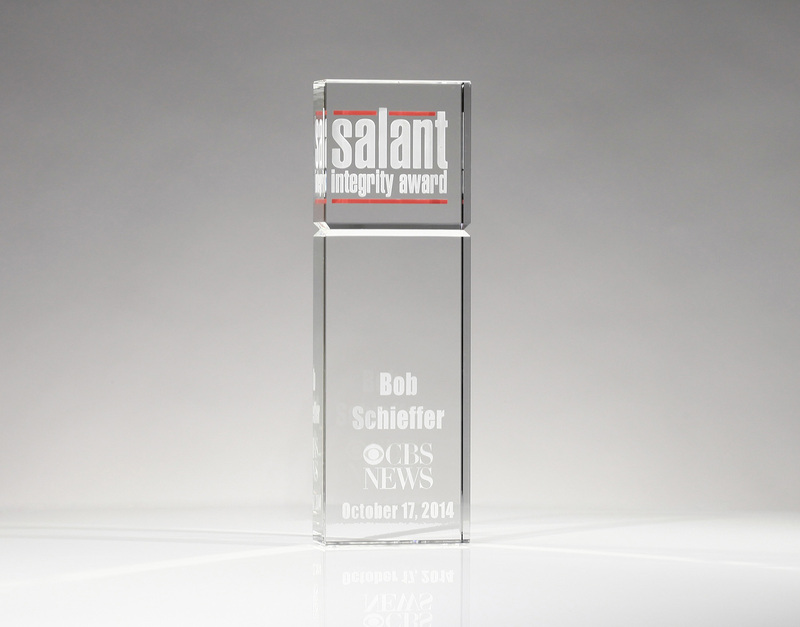 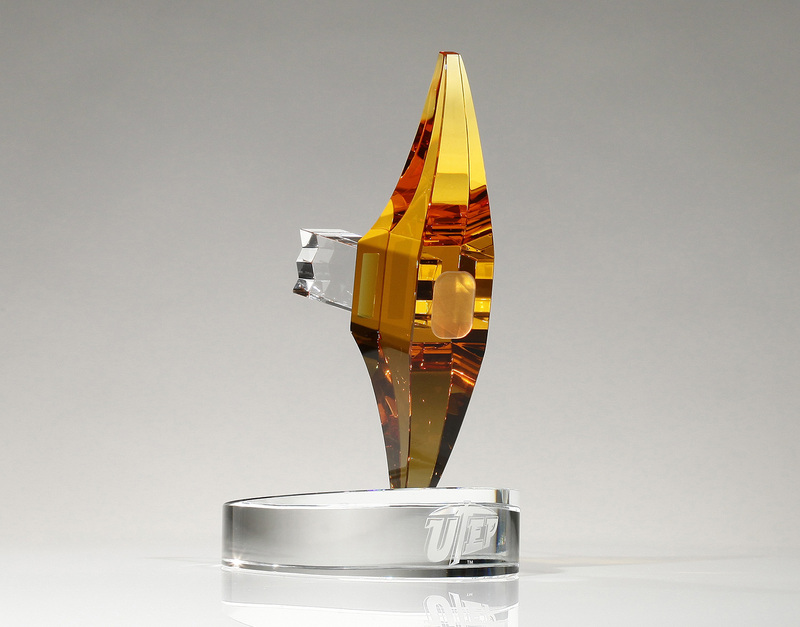 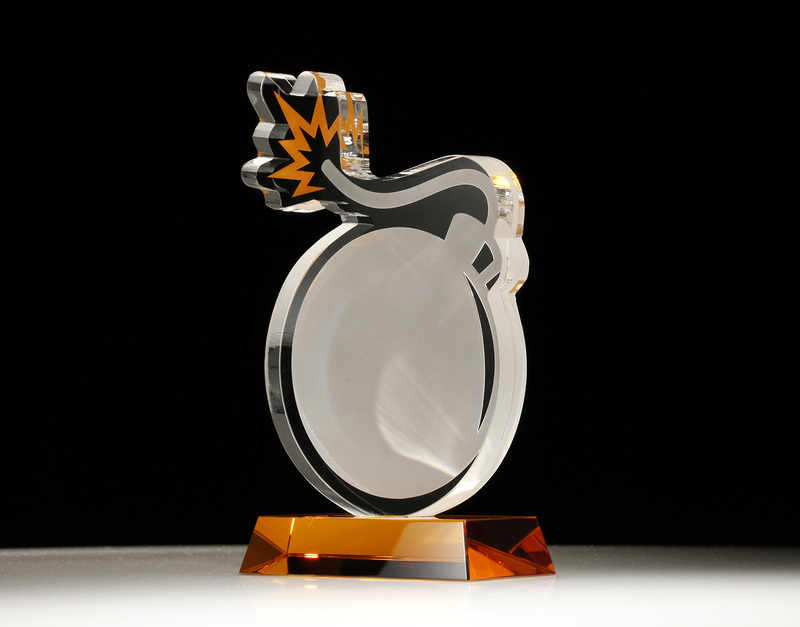 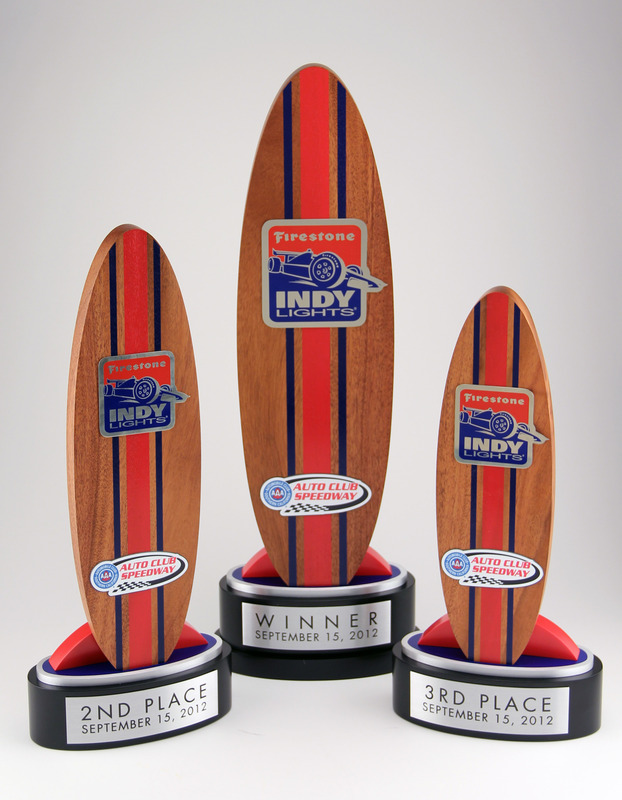 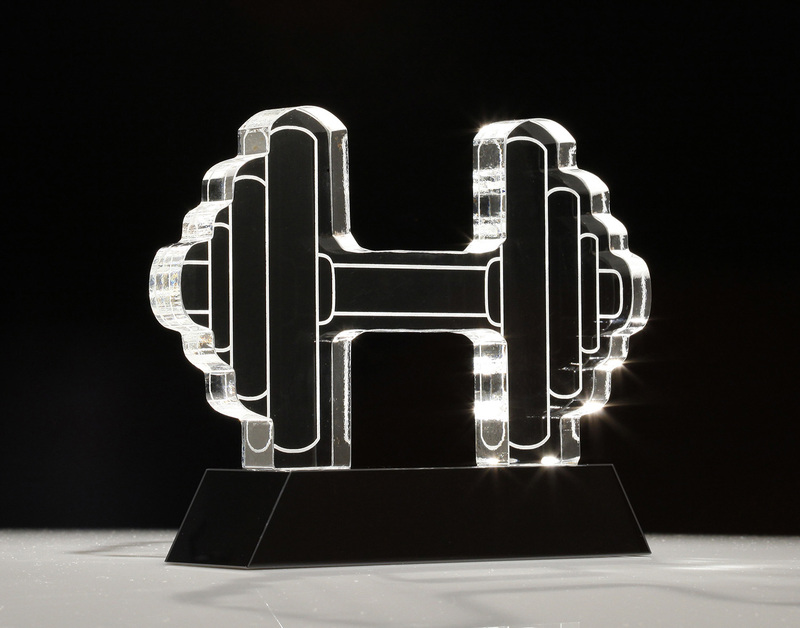 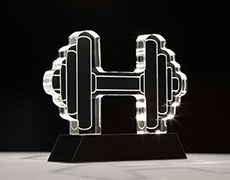 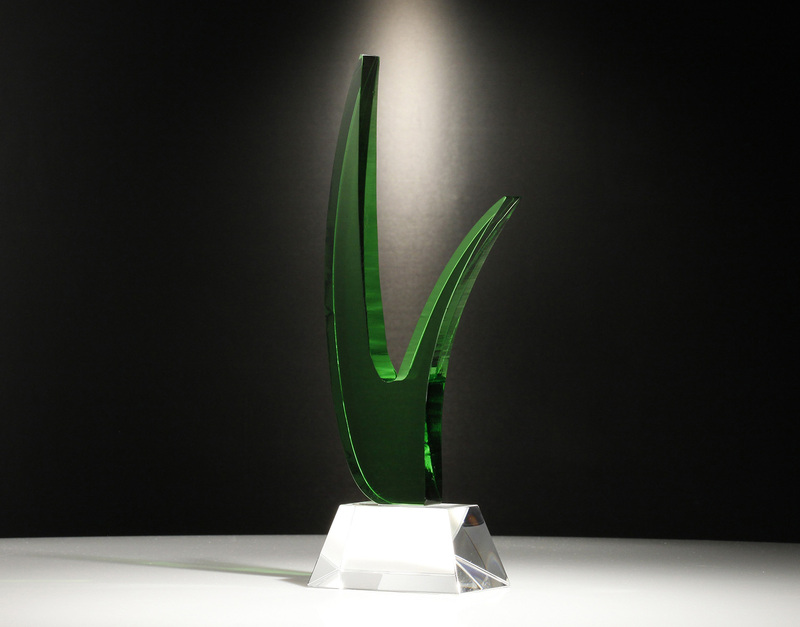 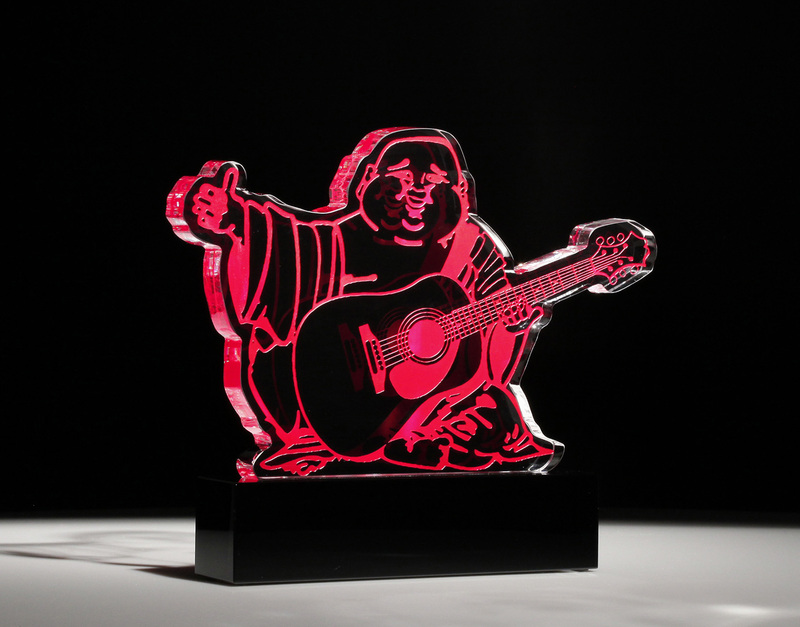 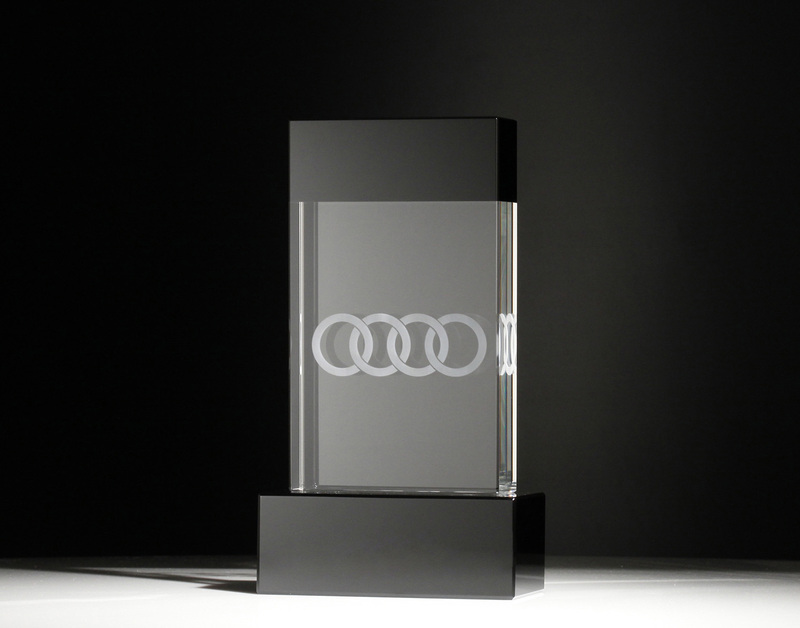 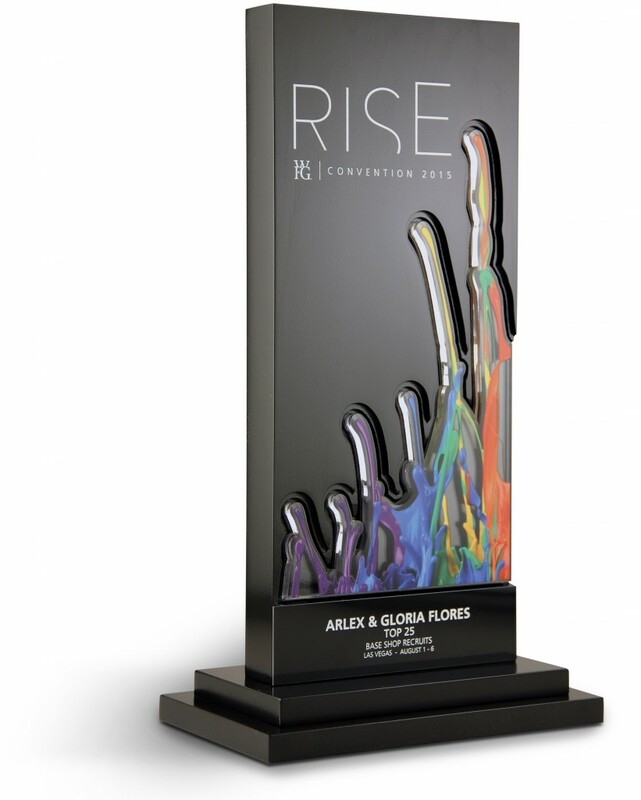 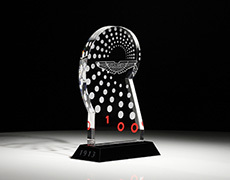 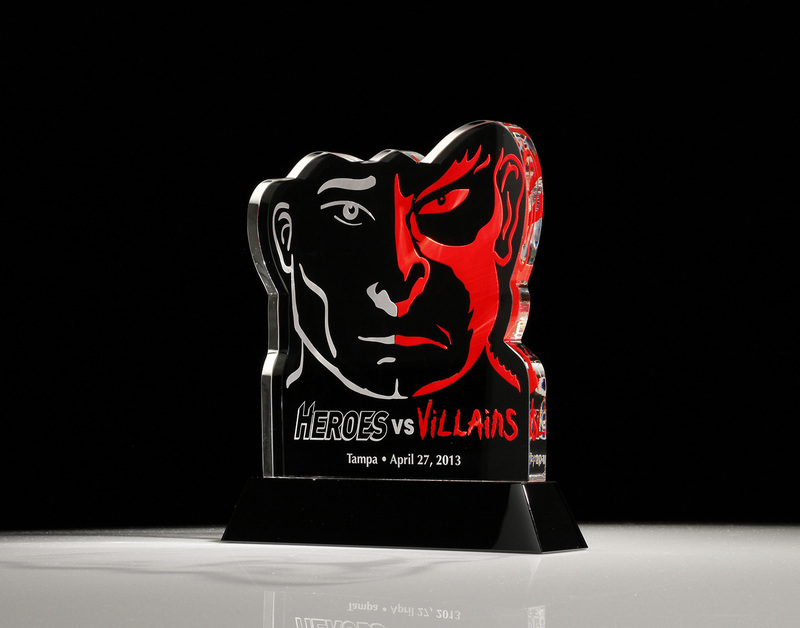 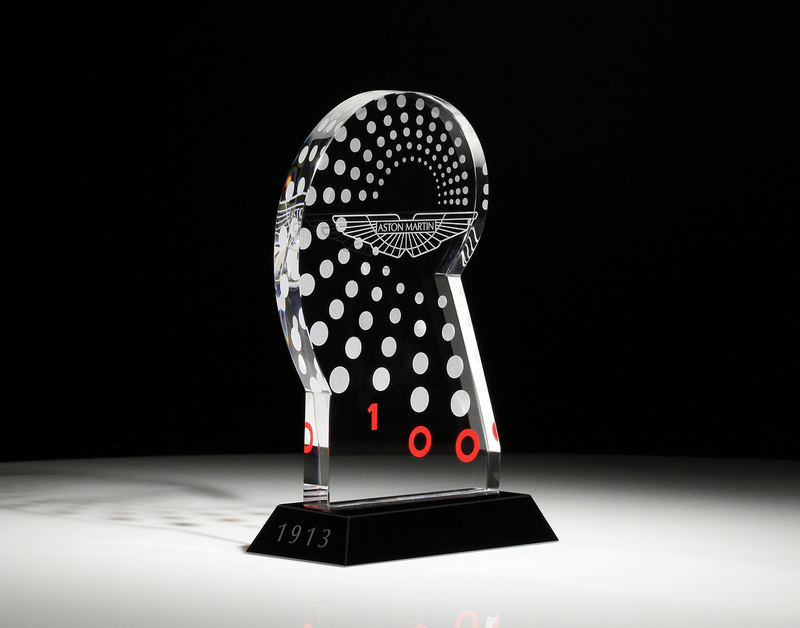 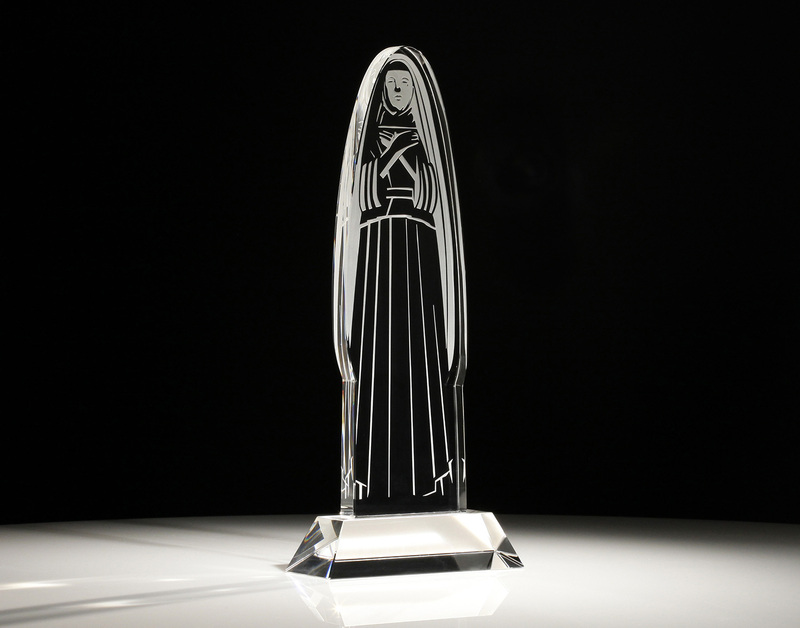 Our trophy designers specialize in custom crystal logos, beautiful custom printed acrylic awards for full color designs, and unique etching with 3D laser awards. 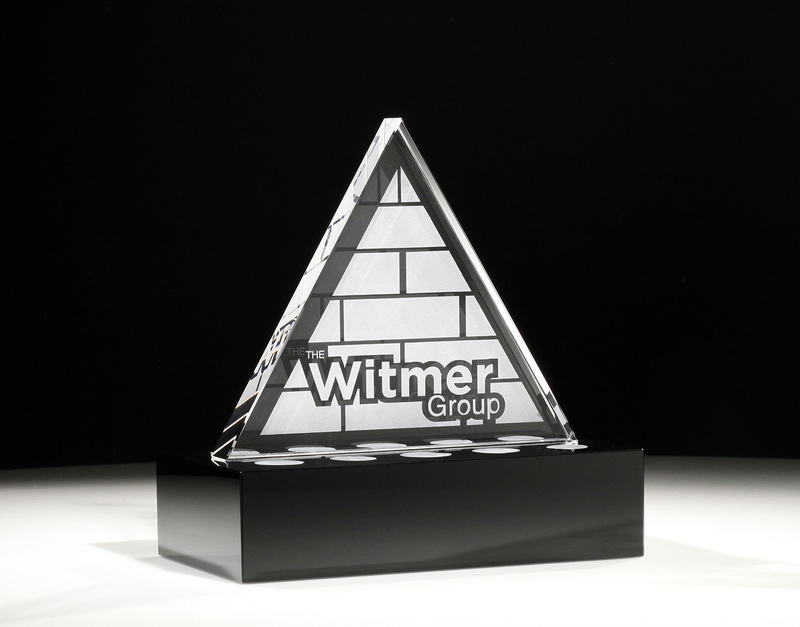 Our solutions range from customized to fully custom designs depending your budget and timeline. 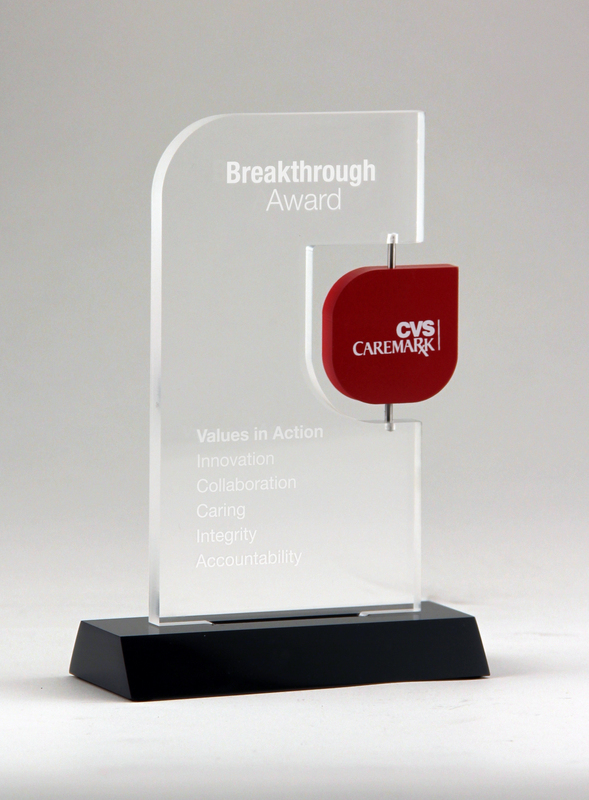 This is an opportunity to create a recognition program that reenforces your brand and company culture. 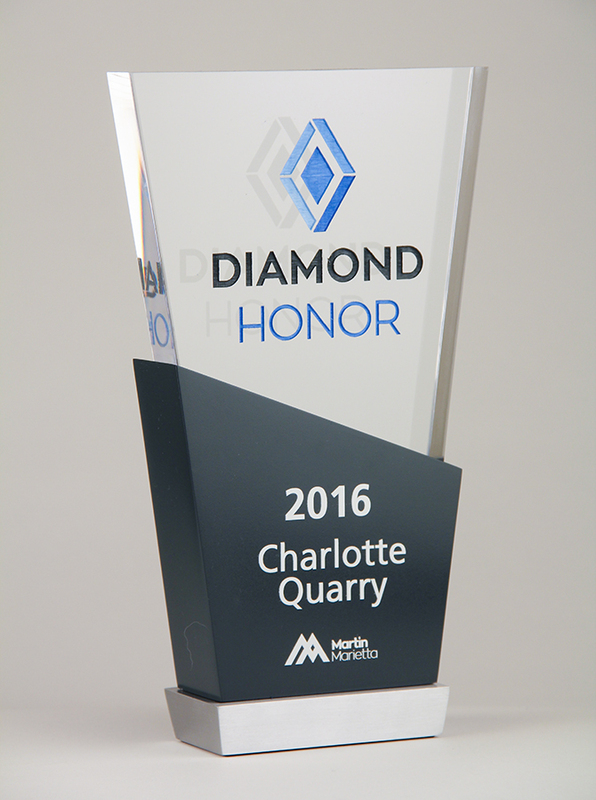 Trophies with your colors and symbols will further enhance the benefits of recognition by having recipients engage with your brand. 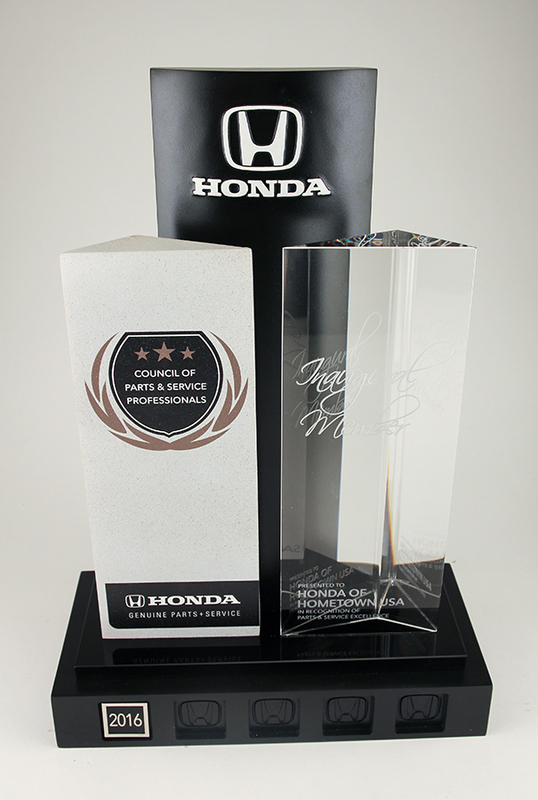 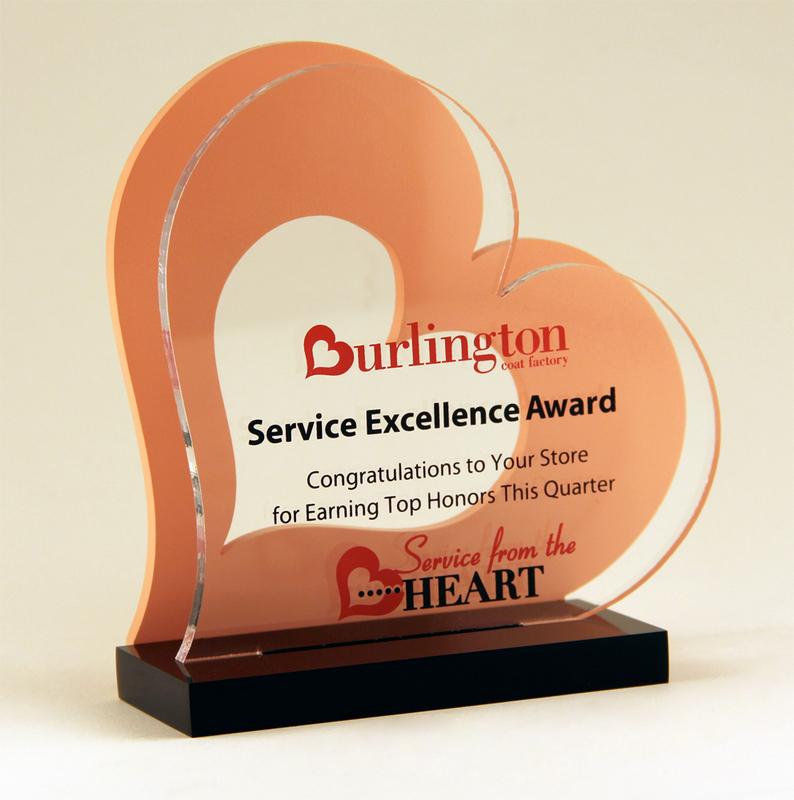 We encourage you to take your employee and company recognition program to the next level with our custom awards and trophies. 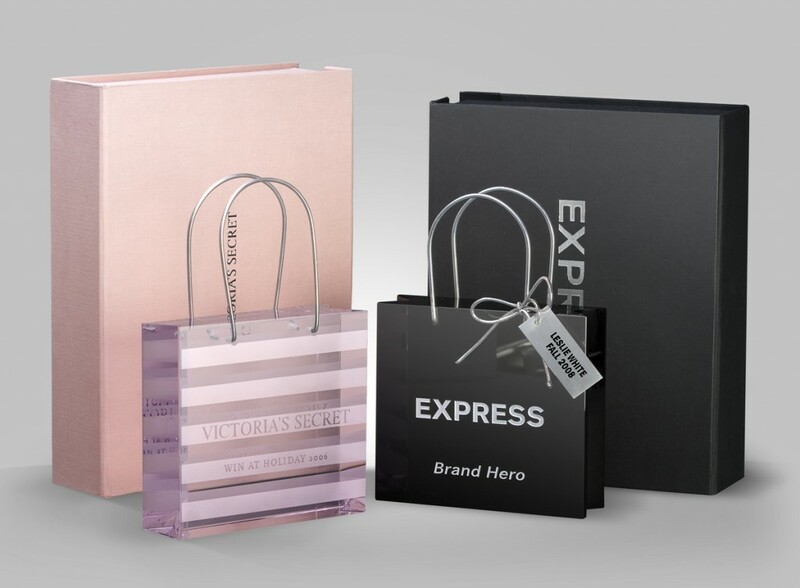 Our designers are eager to bring your brand to life. 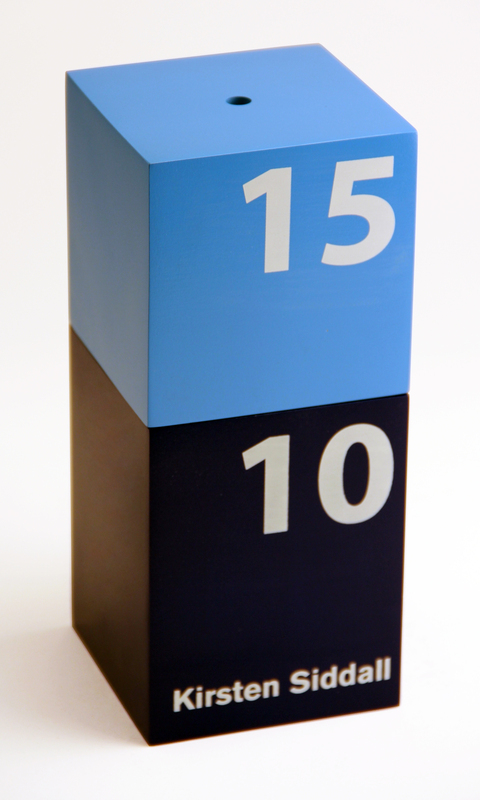 We design & produce within budgets and timelines you set. 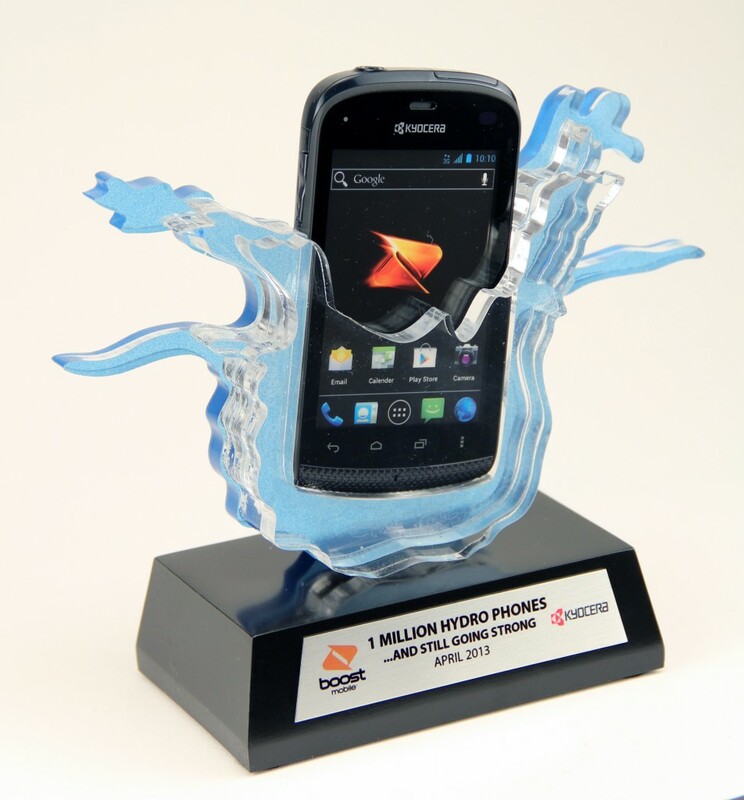 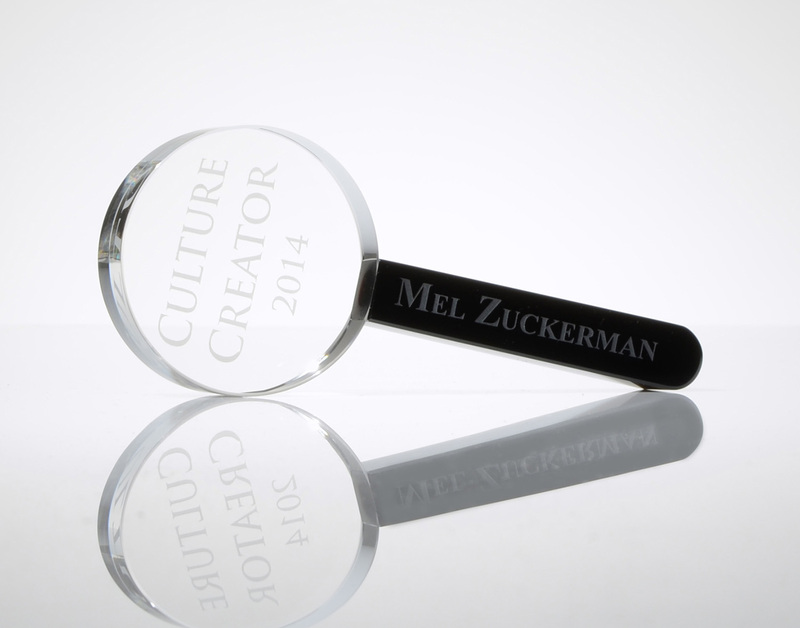 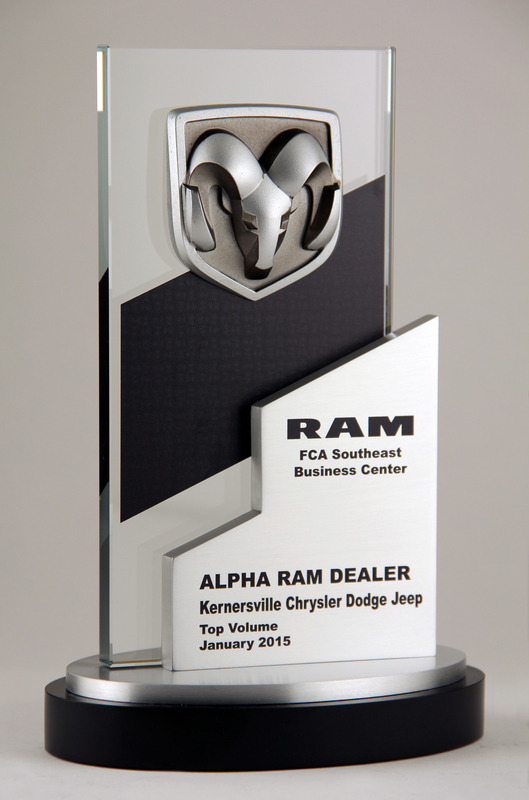 Think outside the box with custom awards. 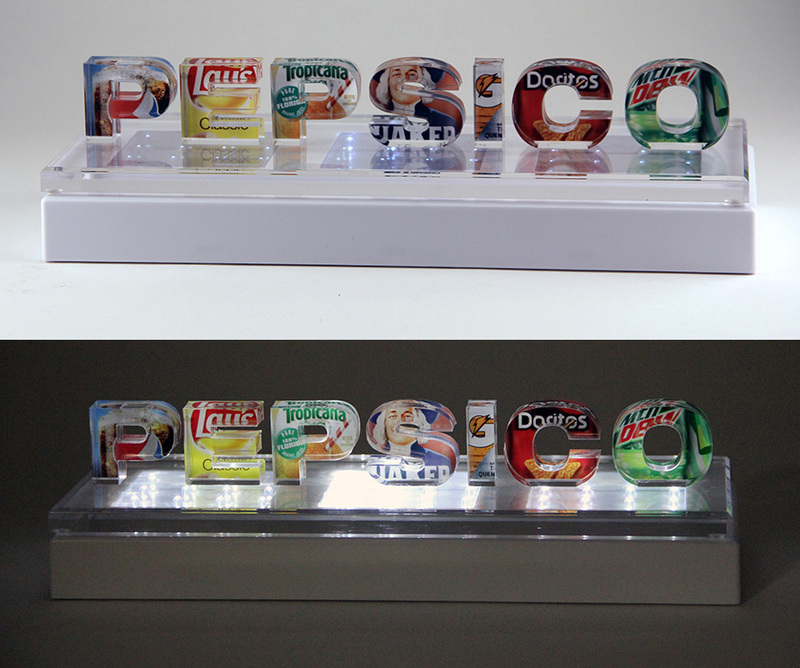 Don't get stuck in stock. 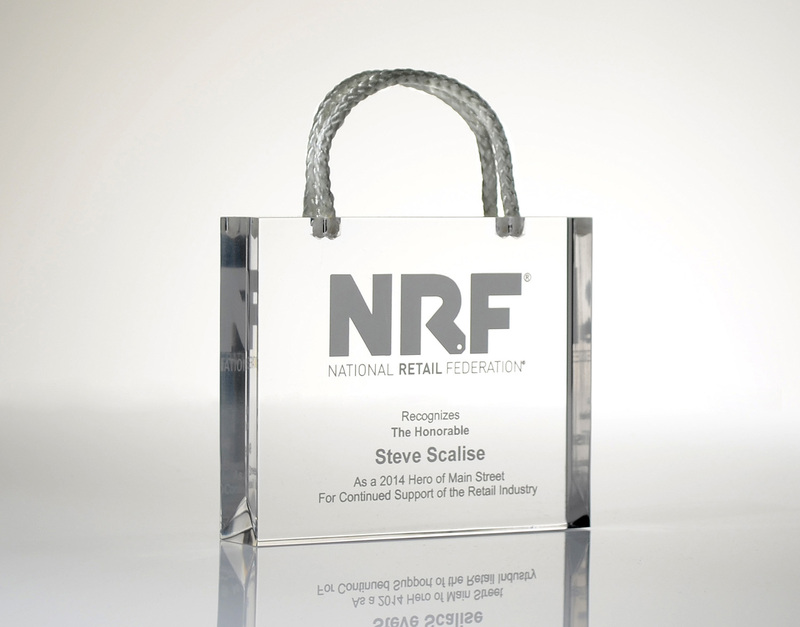 Let your brand set the rules. 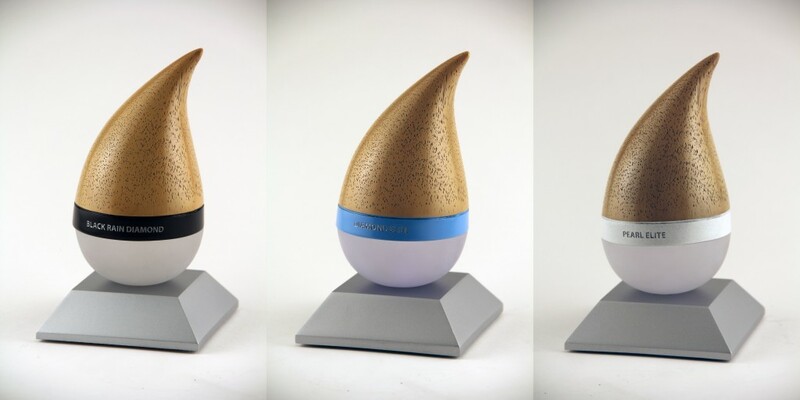 In just 3 easy steps, we will make you look awesome. 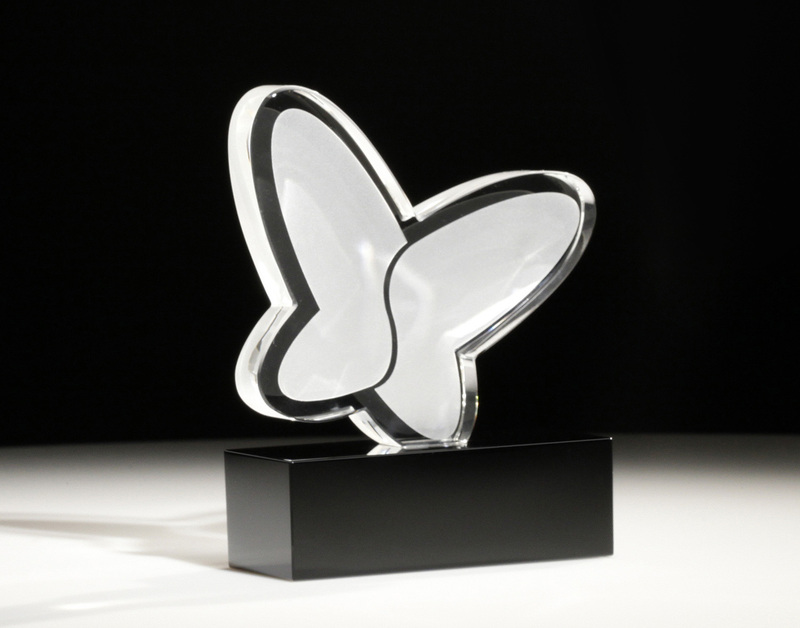 Working with you within your time line, we will transform your vision into a reality. 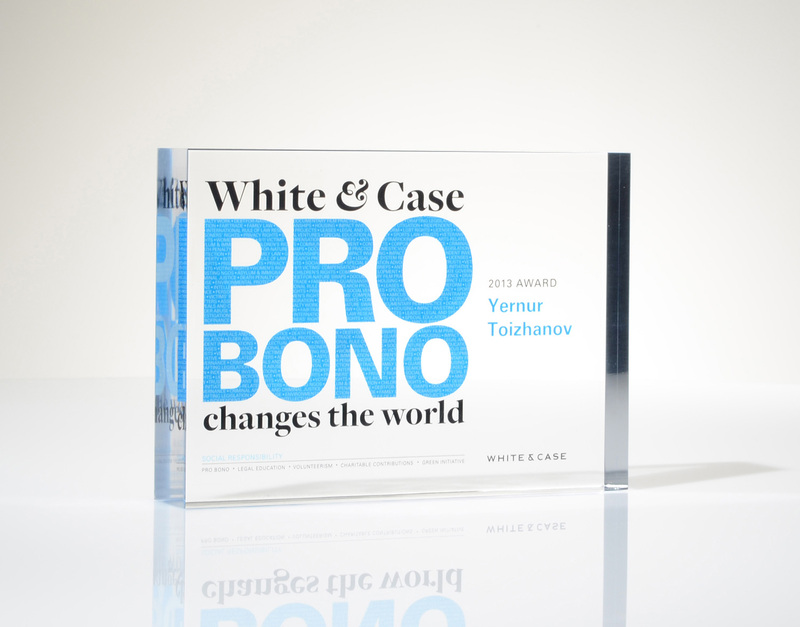 80% of Fortune 500 Companies, over 20,000 NonProfits, & all branches of the US Government trust us due to our unmatched quality and consistency. 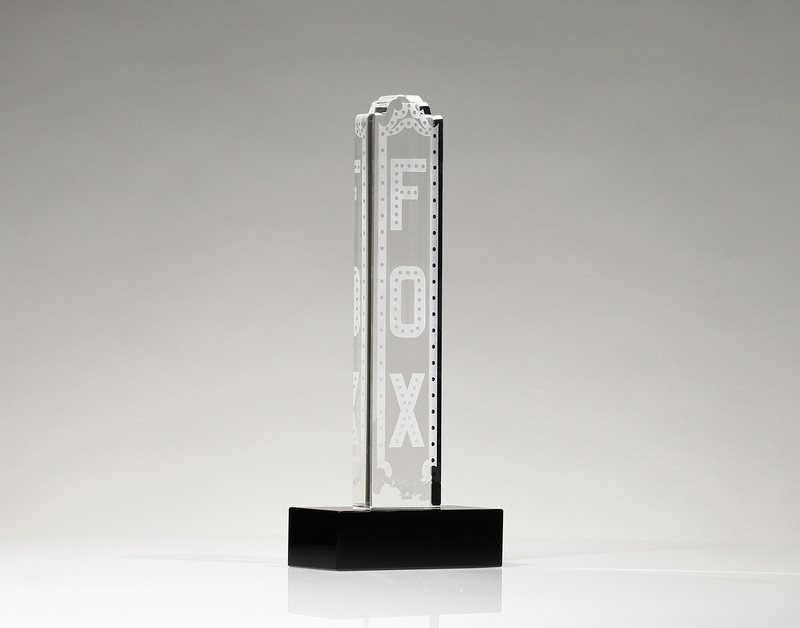 Our custom trophy design team will work directly with you, share ideas, discuss big picture objects to take your awards to the next level. 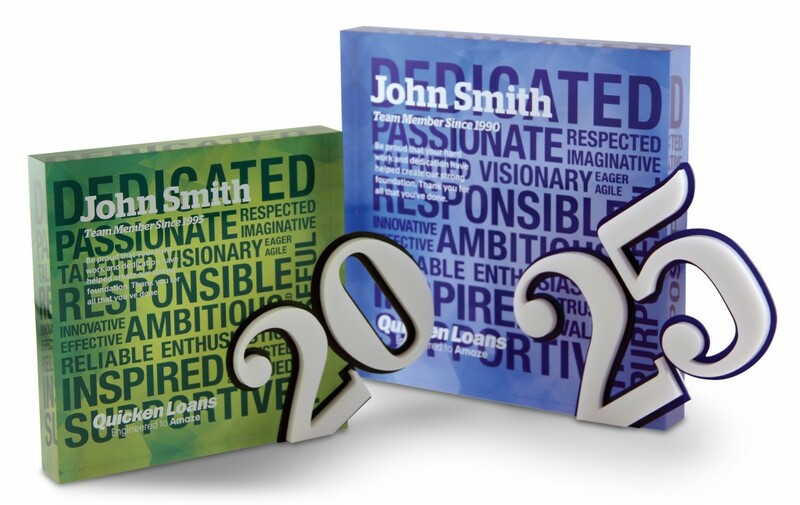 A project is based on your vision, your budget, desired quantity and your timeline. 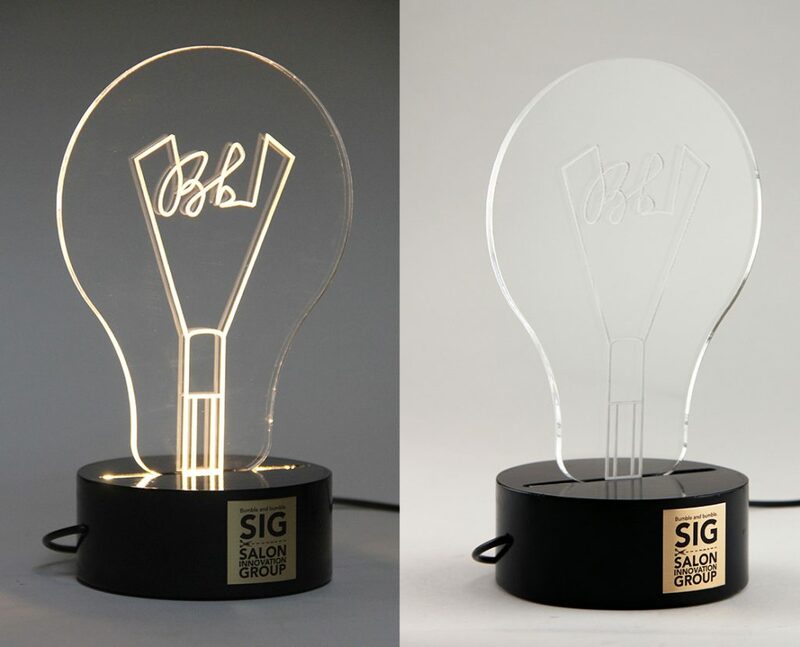 From their the design team and solutions expert will present you the best options that fit your requirements. 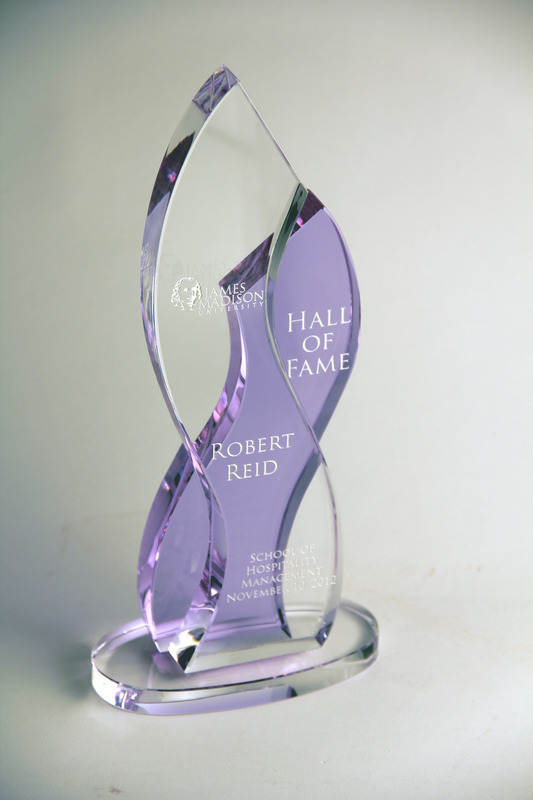 Please share any and all collartal such as sketches, artwork, brand elements, personalization and messaging desired to create your custom crystal award. 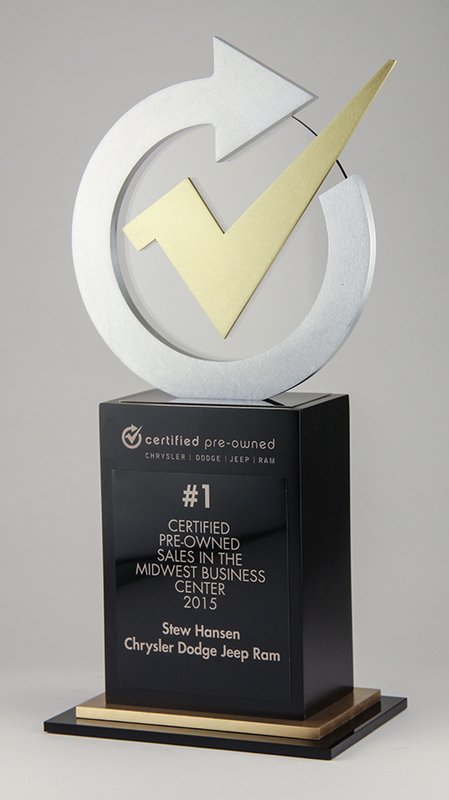 Do to our experience and expertise, you will be pleasantly surprised at how quickly we move to step 2! 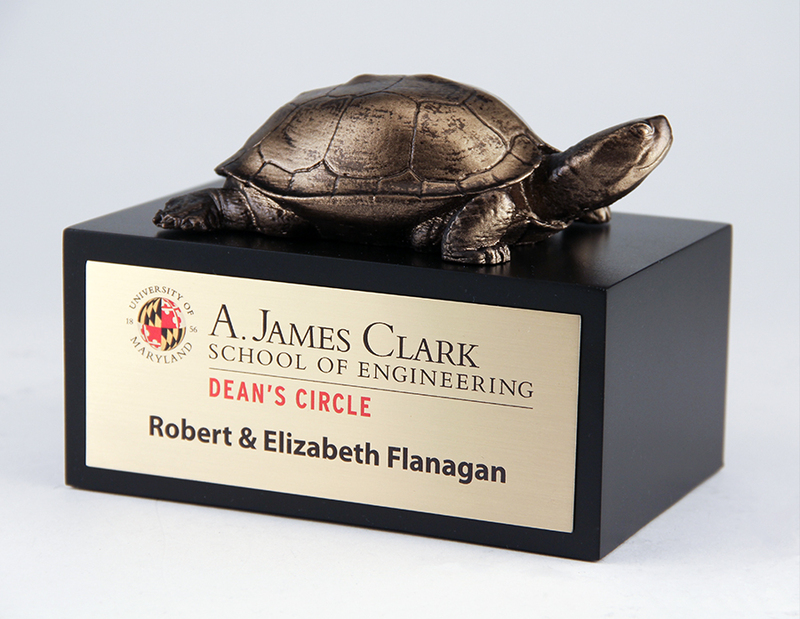 After the big picture ideas and functional requirements are understood, our team will start generating a few mock-ups of a final custom award. 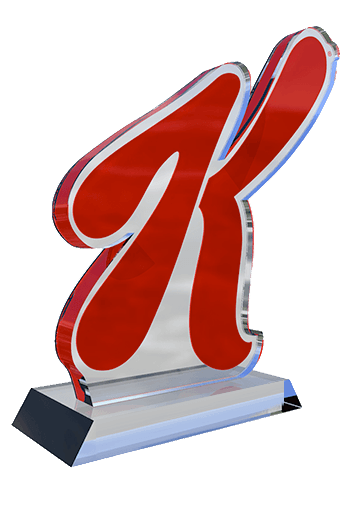 Most other custom award design companies charge you for renderings and custom design work; however, we are just too excited to work on your project and stretch our creative capabilities. 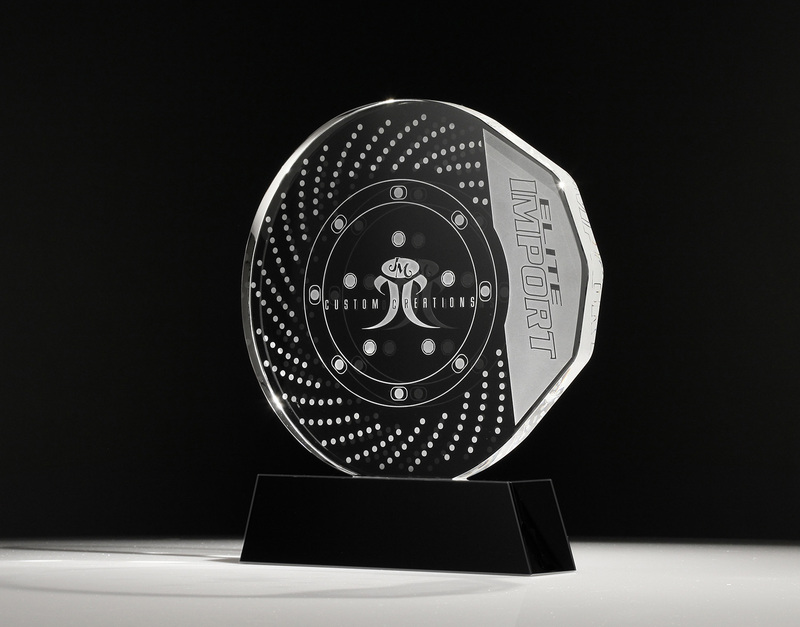 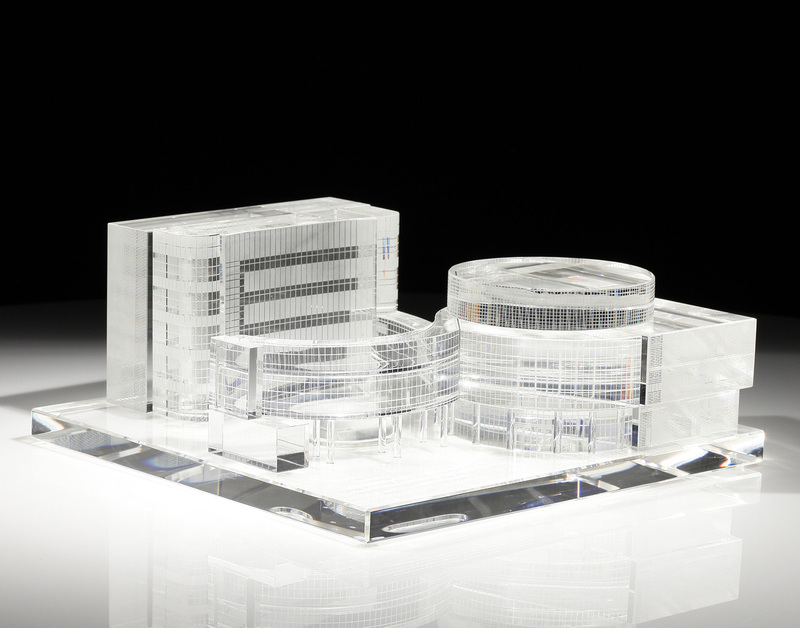 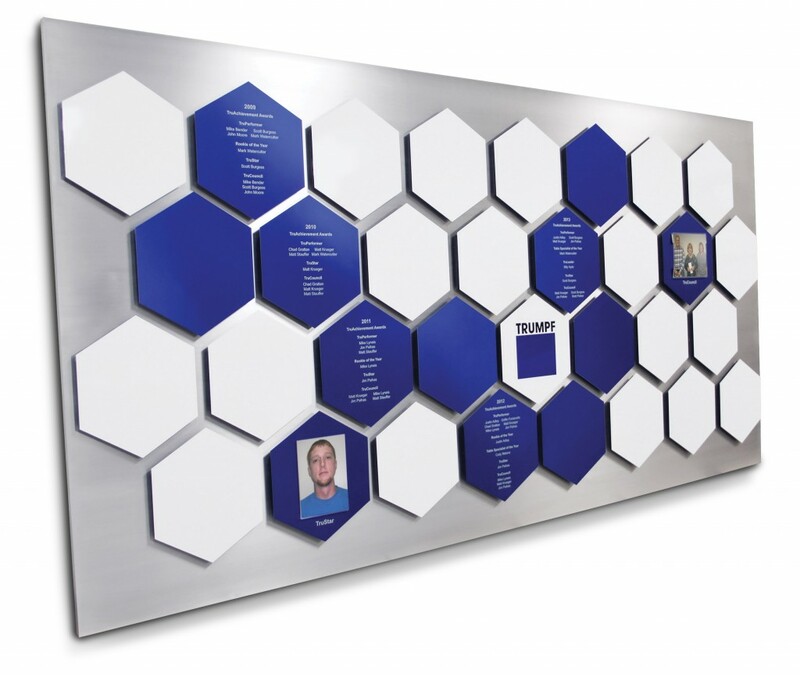 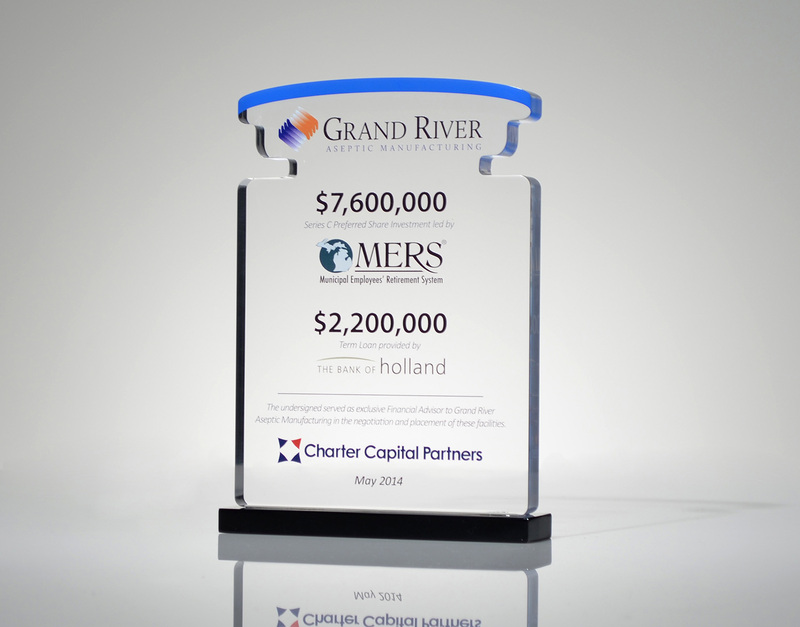 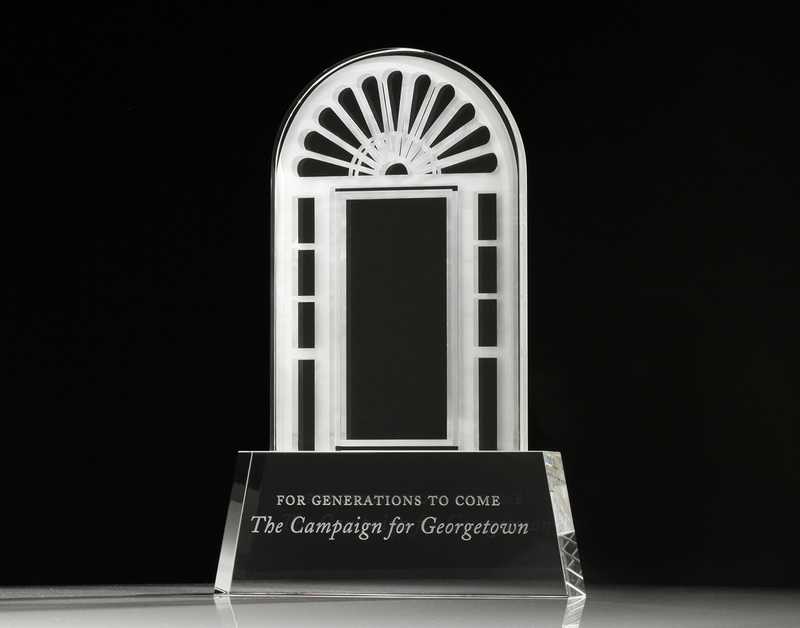 When these initial renderings are produced, this will give you the opportunity to see the shape, size and color of your custom award and make the necessary adjustments before production. 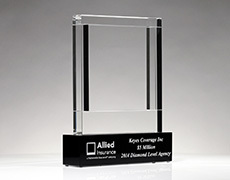 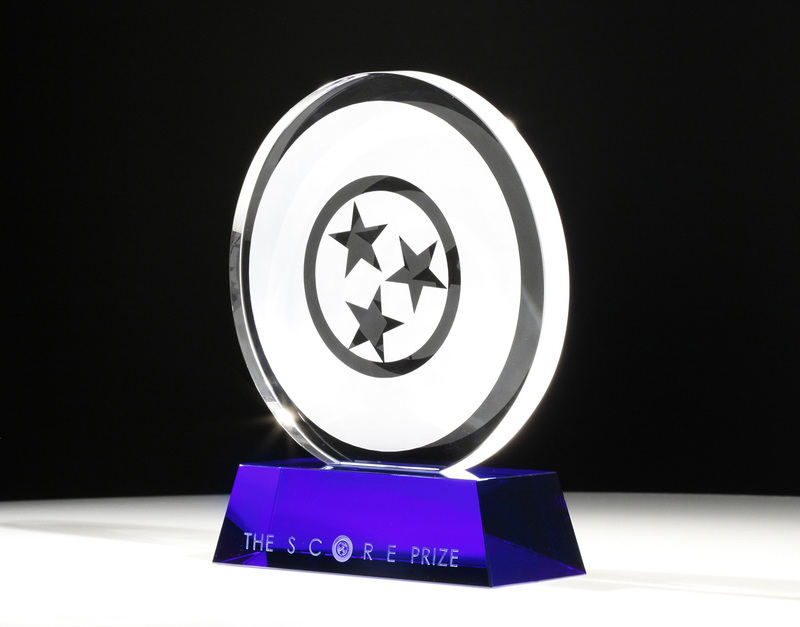 Once we finalize your custom award requirements, we generate your unique price quote. 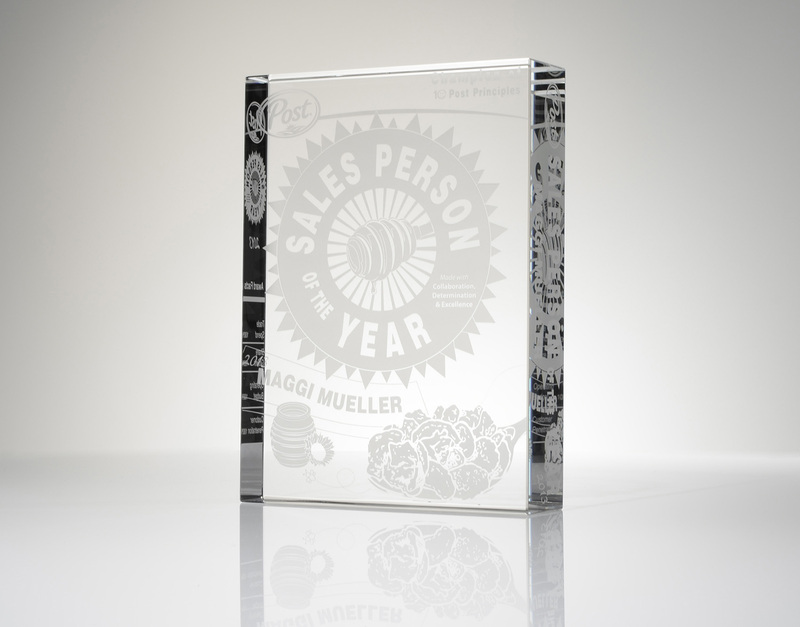 All pricing includes personalization and high-end presentation box. 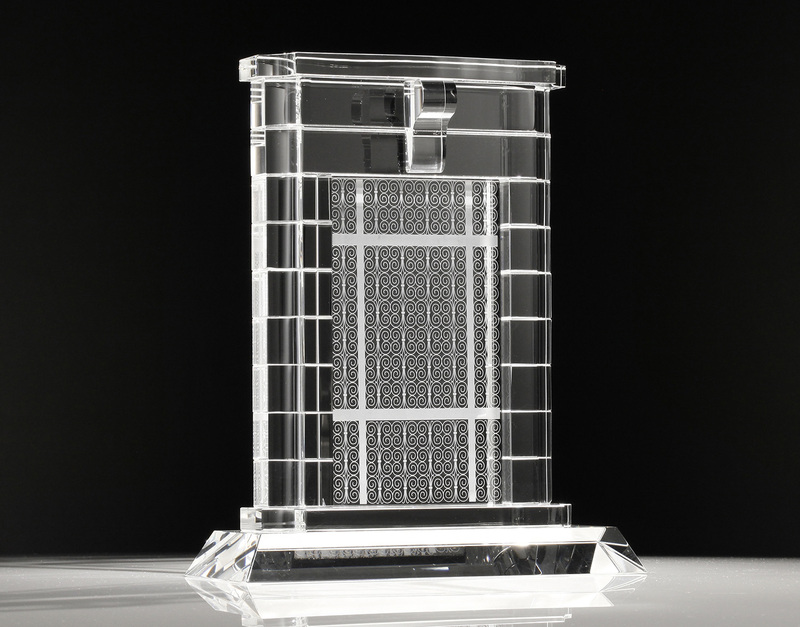 Depending on your requirements and timeline, you will approve a final production run based off the final artwork renderings or a fiscal pre-production sample. 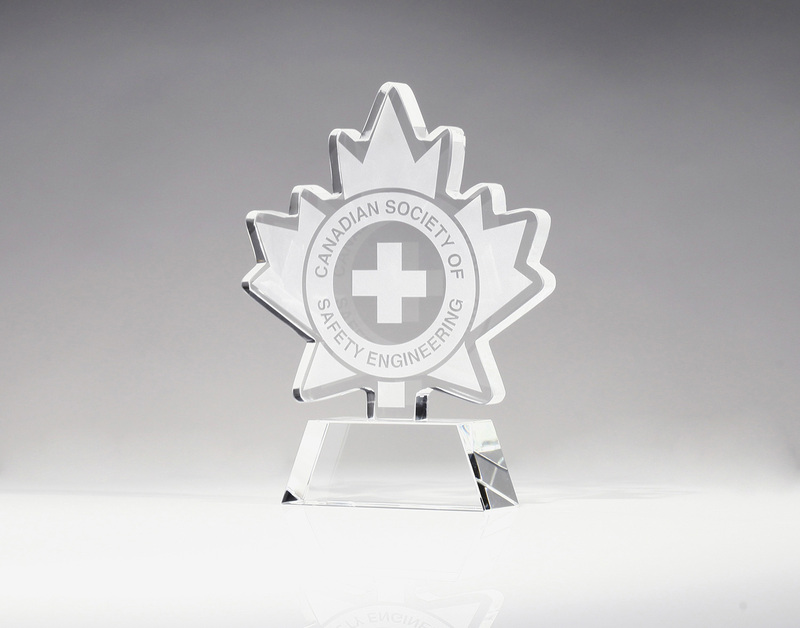 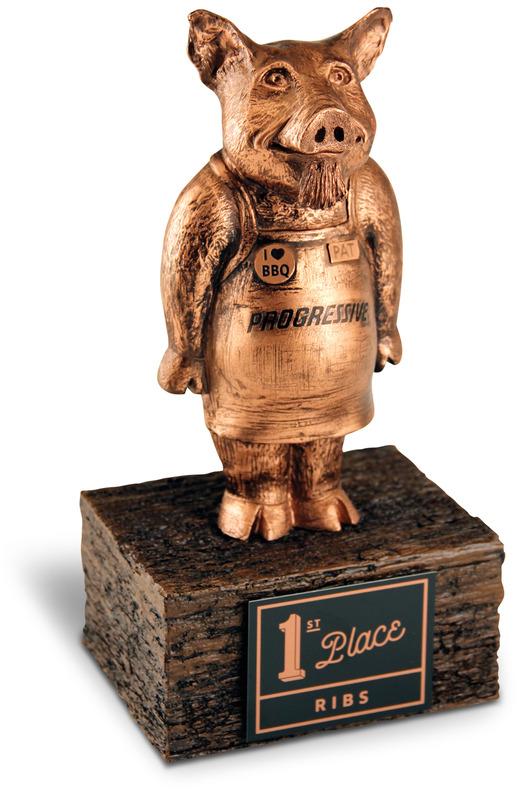 With all the fine details approved, production of your custom award is underway. 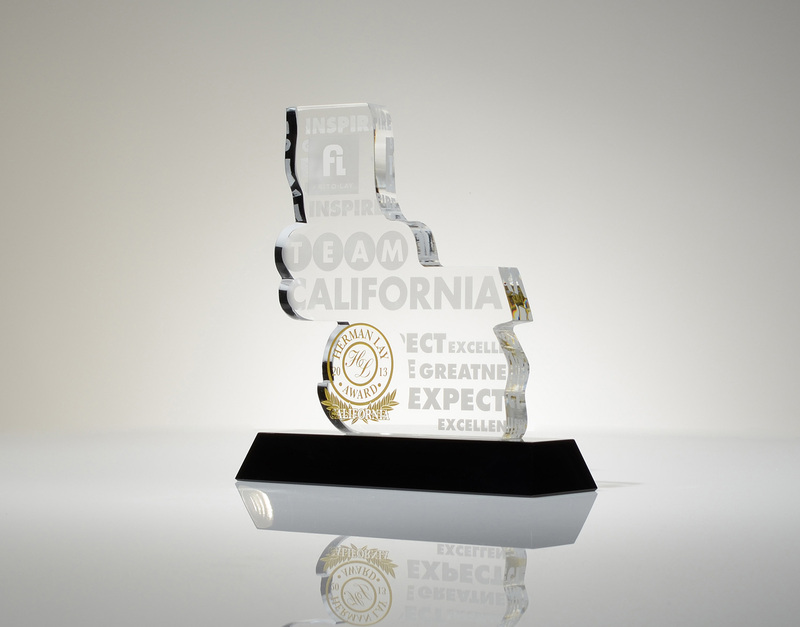 All you have to do now is sit back and wait for your custom awards to be delivered on-time, on-budget, and without error. 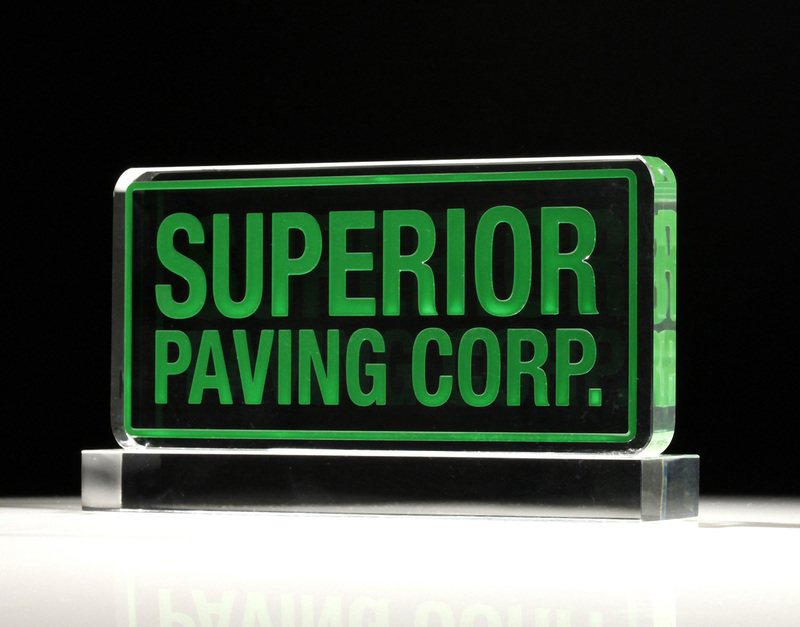 We will exceed your expectations. 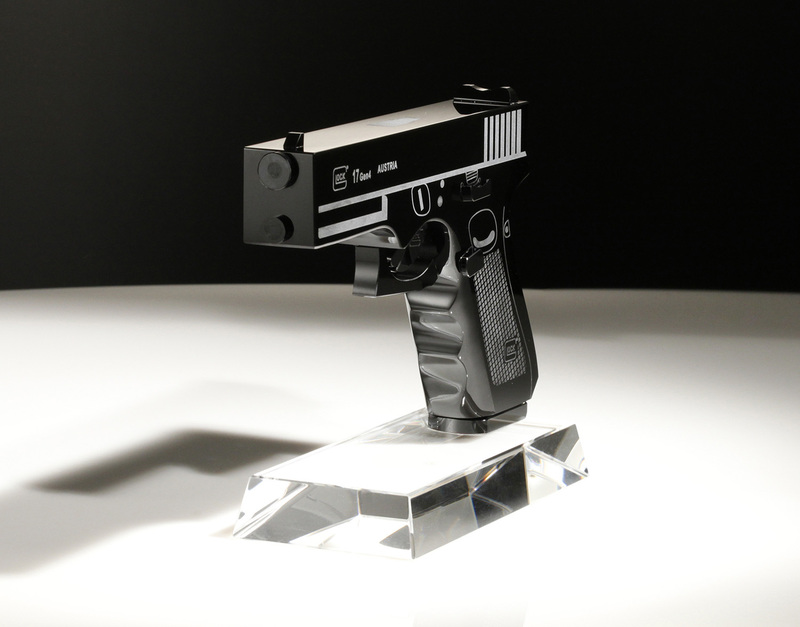 You would be surprised how affordable custom can be. 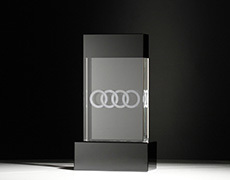 In fact, sometimes it is more cost effective to produce something that fits the need like a glove. 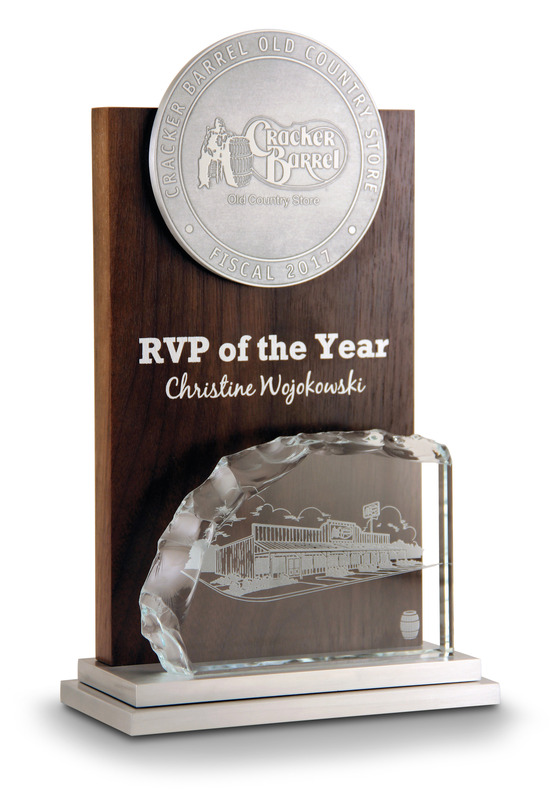 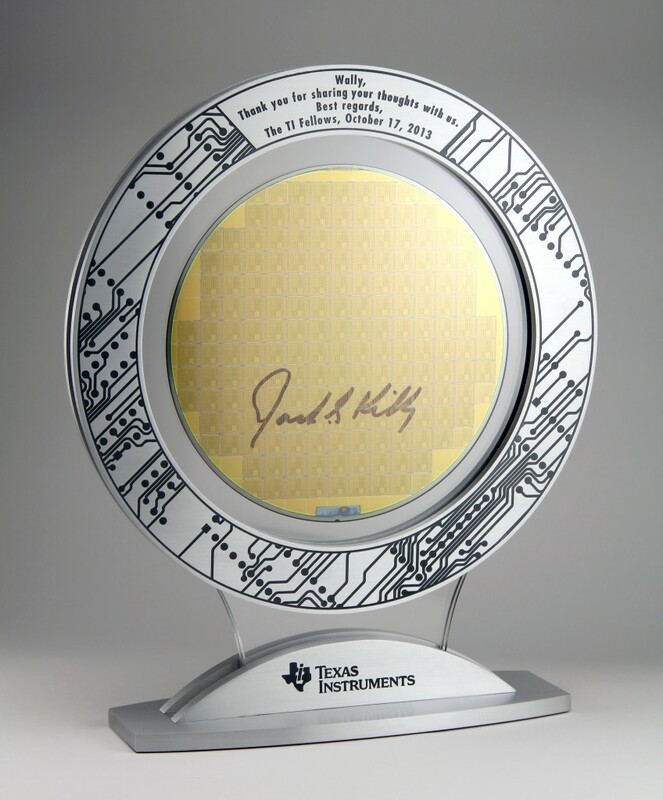 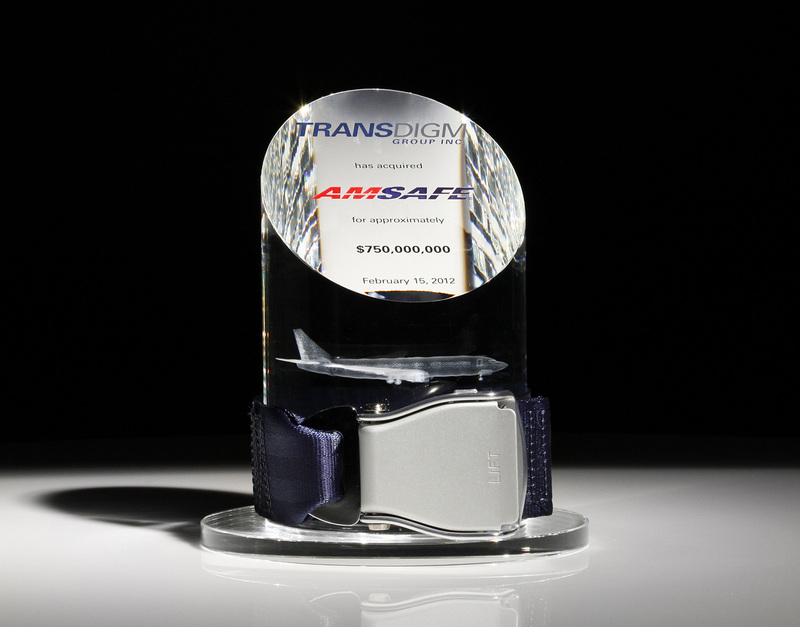 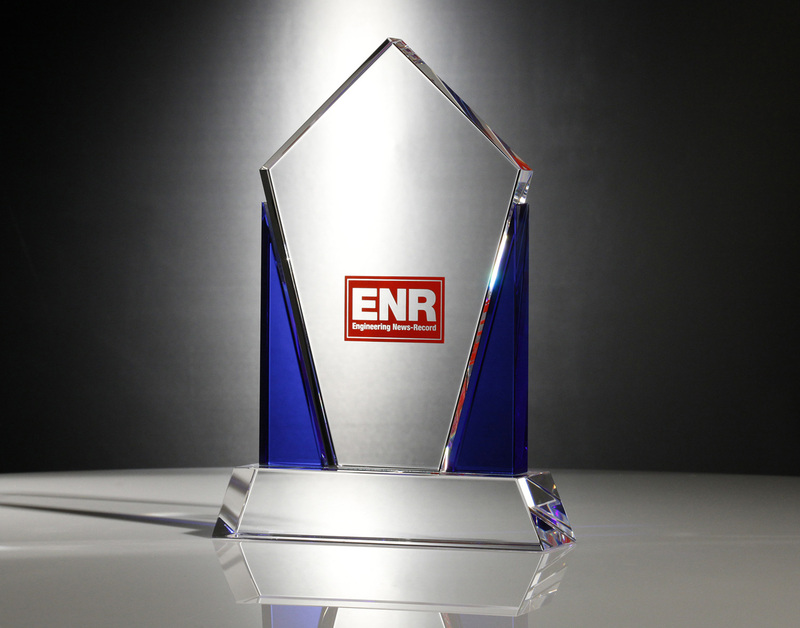 However, for budgets that need to stretch or timelines that are short, our stock awards and recongition items can be customized with engravings and logos. 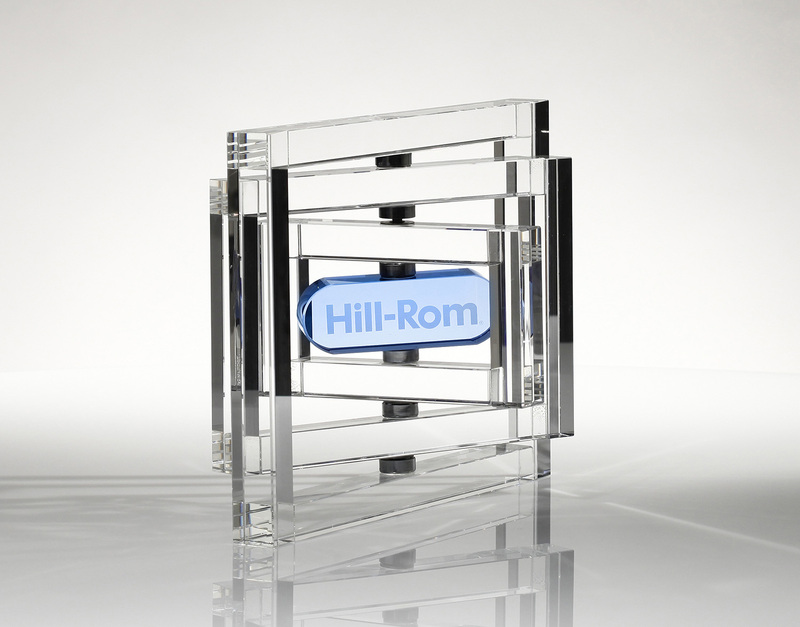 This is a great solution for quick turn arounds or smaller quantity needs. 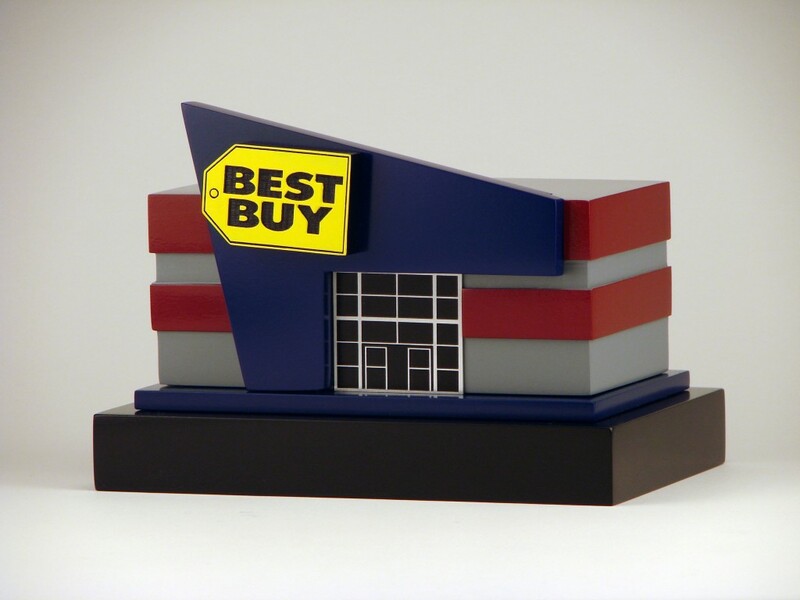 Our team of designers and marketers also provide solutions for custom corporate recognition gifts and deal toys. 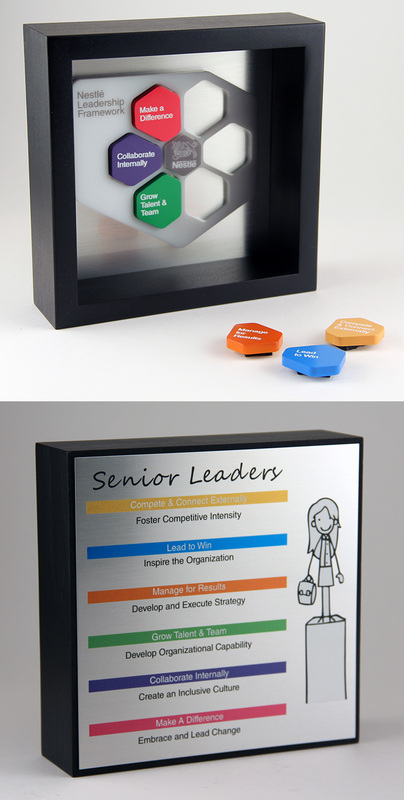 Whether your marketing team is looking for a unique gift for clients and prospects, you need custom employee gifts for a company event, or looking for something that will WOW, we have you covered. 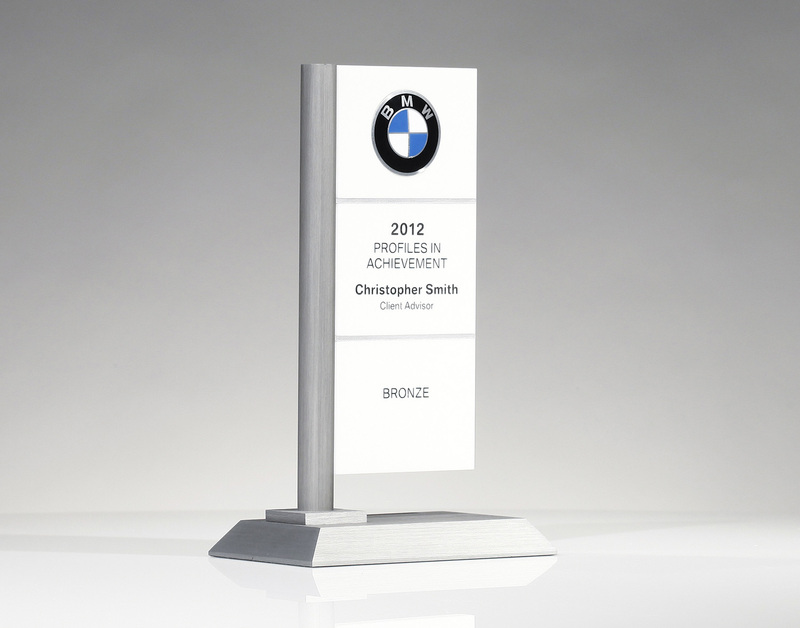 Our designers will work with you to make sure it's a success. 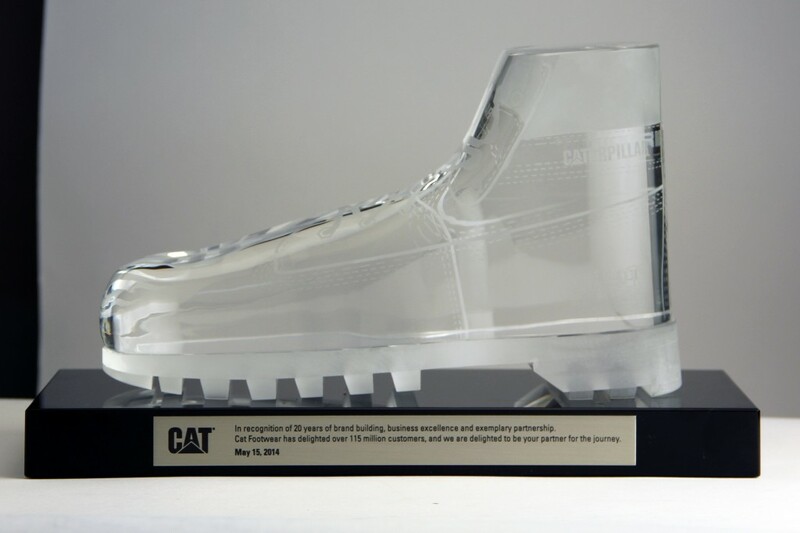 The purpose of custom is impact. 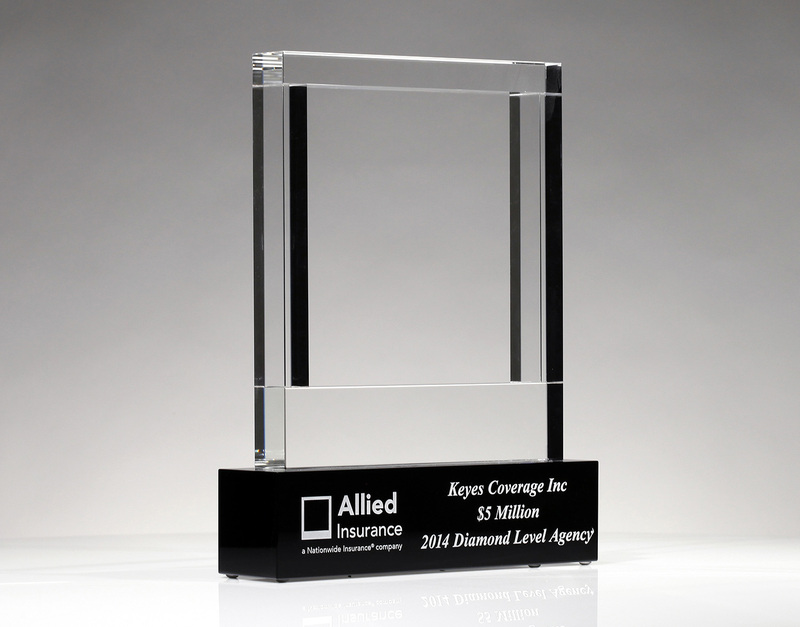 You want your custom branded solution to be valued, not just be expensive. 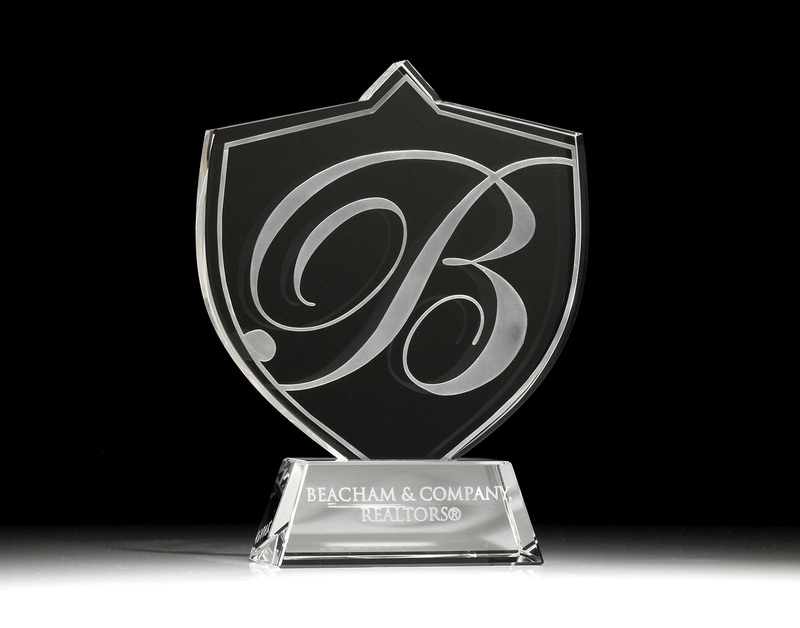 We will work with you to ensure that your custom deal gift, marketing promotion, or employee gift is perfect, impactful, and arrives on budget. 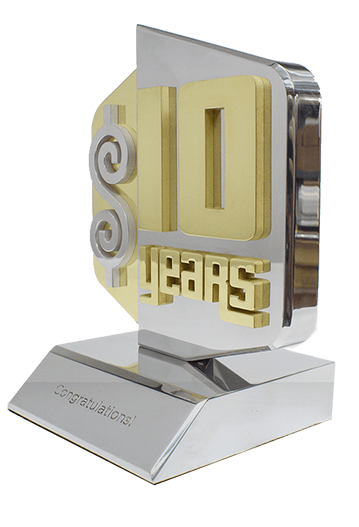 Call 1-800-535-2773 now or fill out our simple request form to get started. 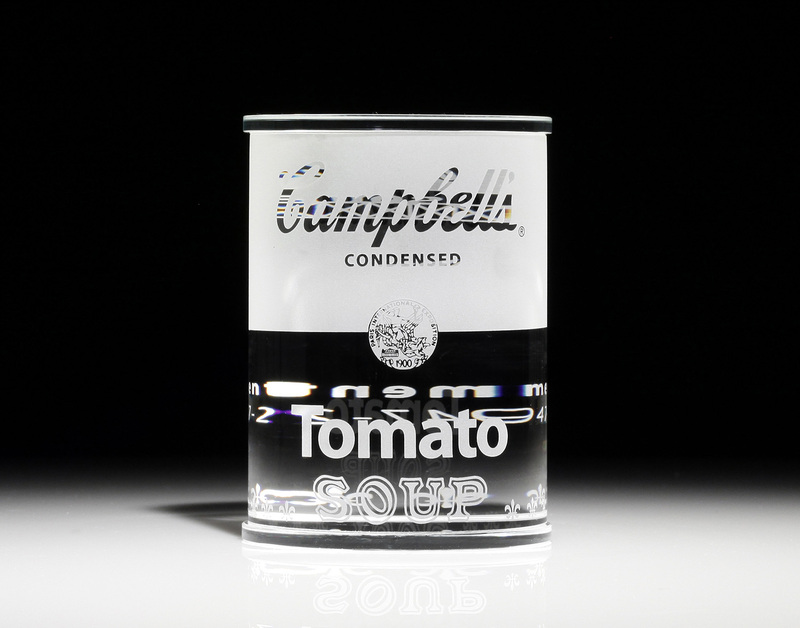 Concepts are always free. 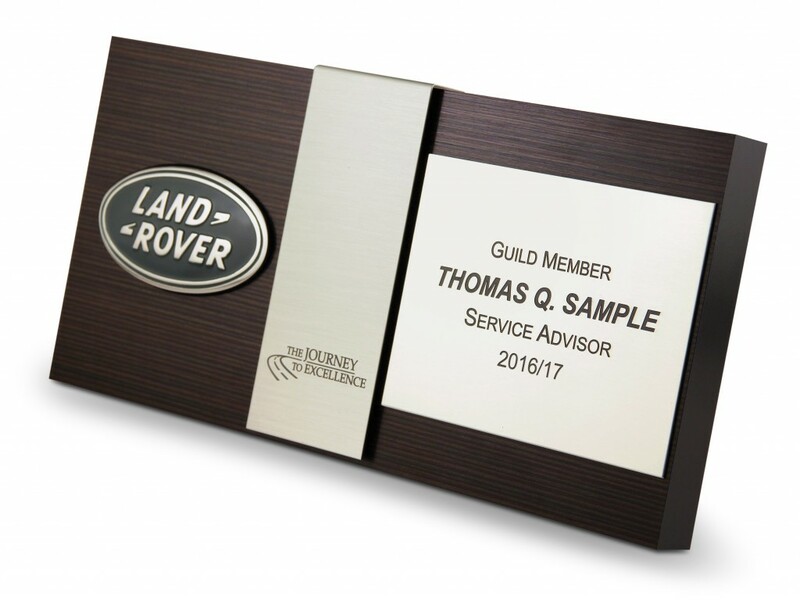 Our team looks forward to working with you.